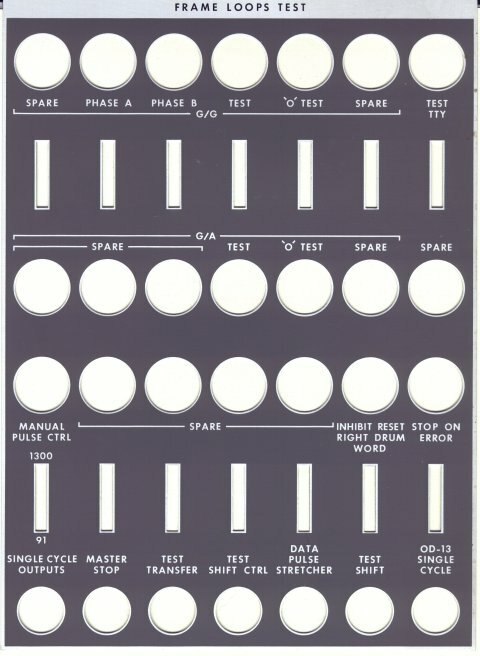 I was one of the last technicians to be trained on the AN/FSQ-7 computer, which was the heart of the SAGE system. 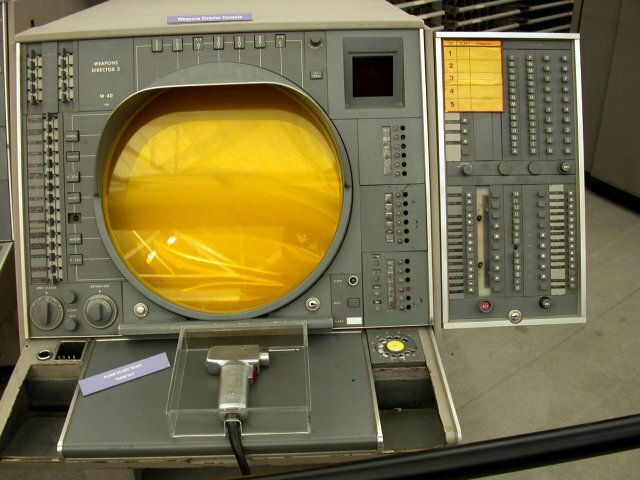 I arrived at McChord AFB in January of 1983, and spent the next 8 months working on the Q7, as a CC (Central Computer) tech. 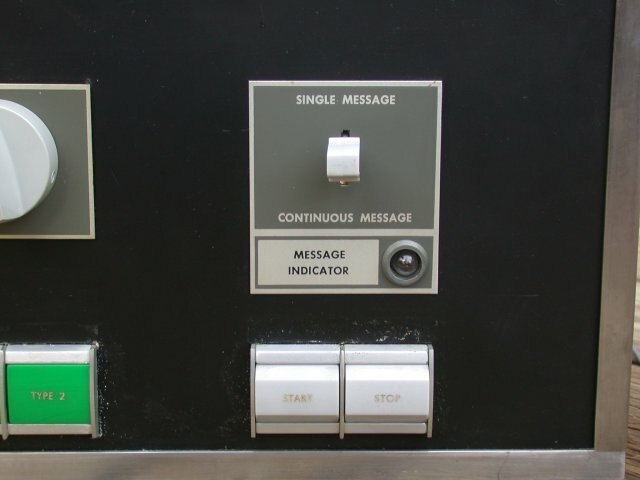 In September, they sent me to Tyndall AFB for training on the new system, the AN/FYQ-93, during which time they shut down McChord's Q7 after 25 years of operation. 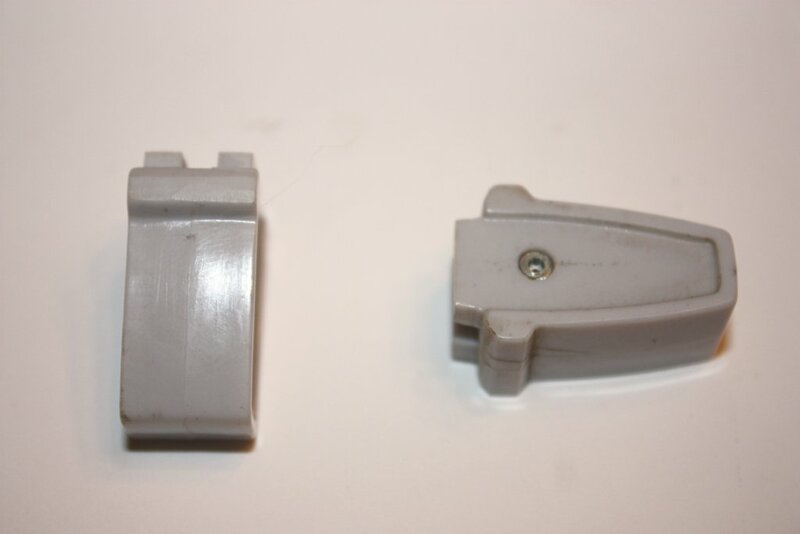 They saved a couple of pieces of the system for me, and I've managed to track down some other parts over the years. 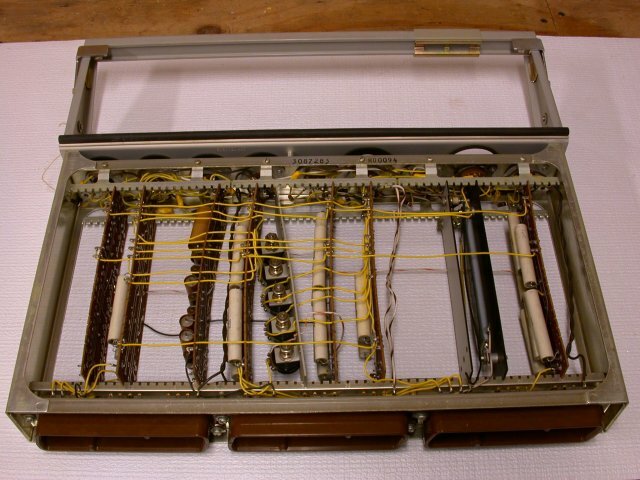 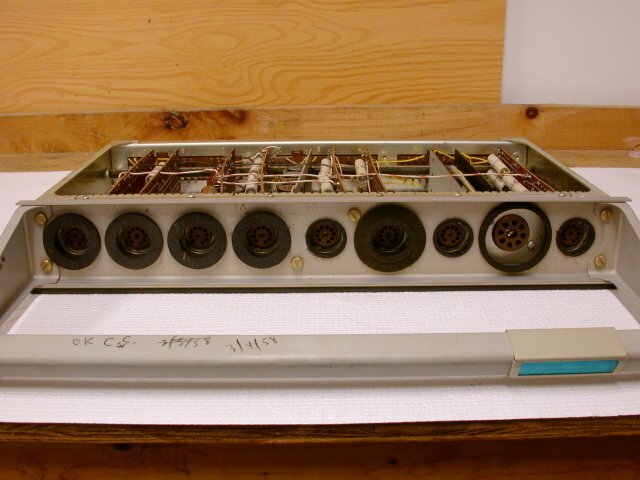 This switch assembly came from the AN/FSQ-7 (SAGE) computer at McChord AFB in Tacoma, WA. 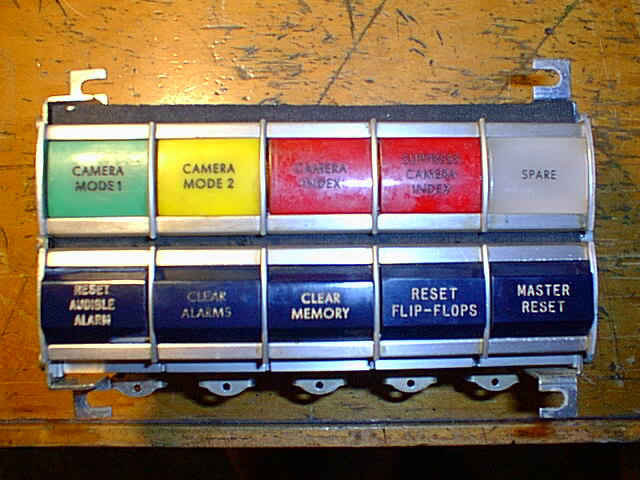 It was part of the Duplex Maintenance Console. 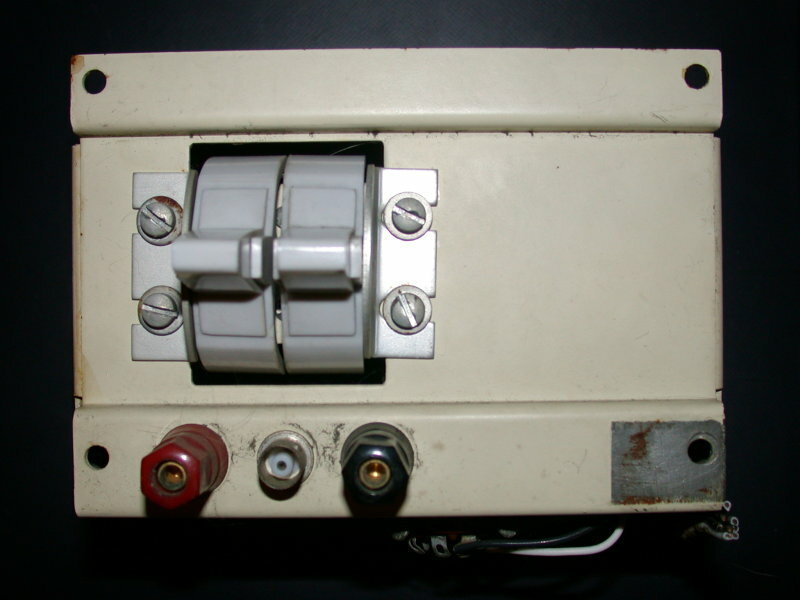 The second picture is the switch assembly in its native environment. 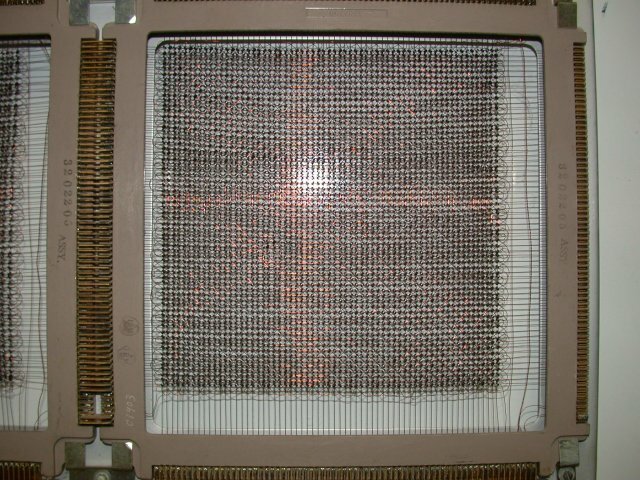 This picture was taken at the Computer History Museum. 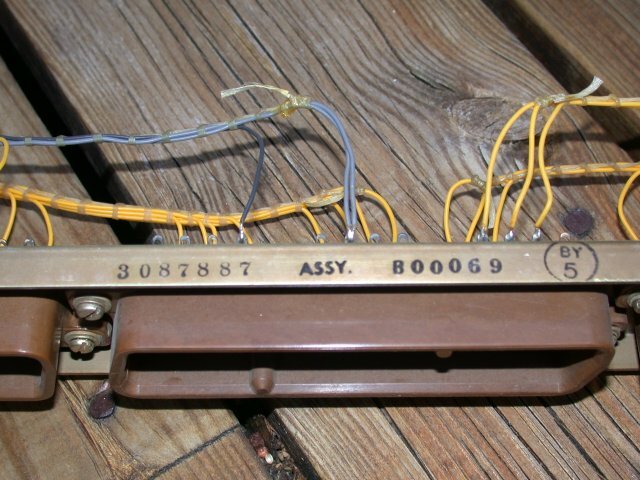 This is a 64Kbit core plane from the AN/FSQ-7, from what we called "big mem". 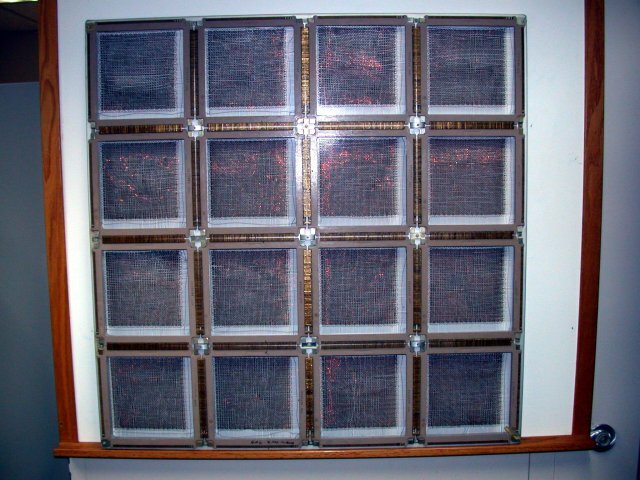 Big memory had 33 of these planes stacked, 32 bits and a parity bit. 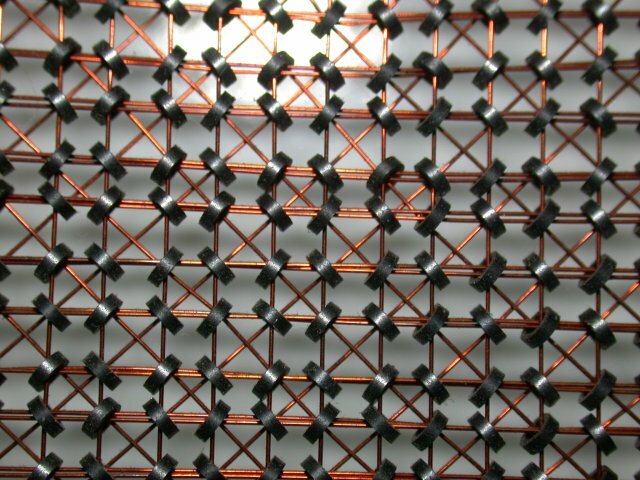 To give you an idea of scale, it measures just over 3 feet square. 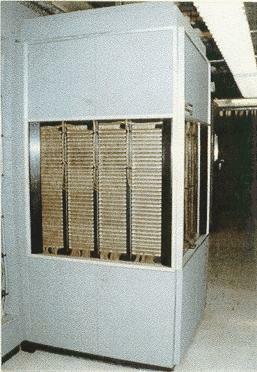 The last picture is the cabinet at McChord which contained the 33 core planes. 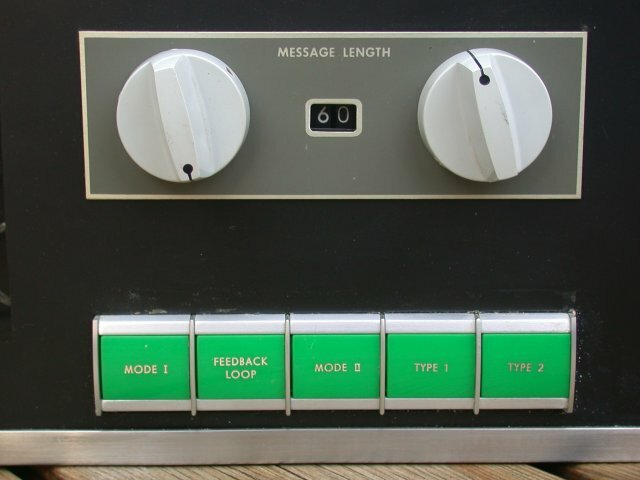 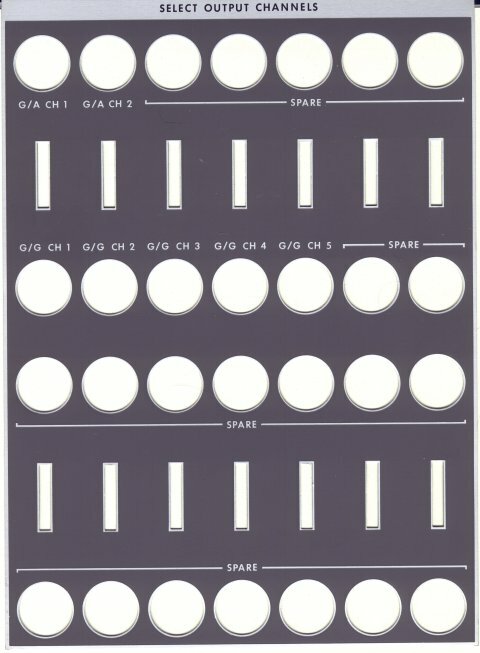 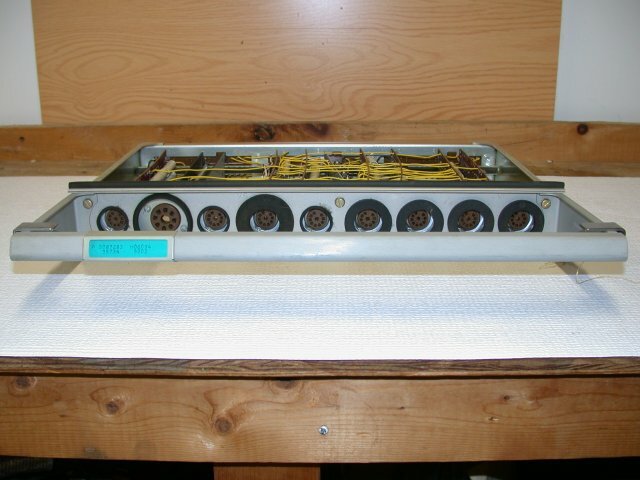 This Long Range Input Test Pattern Generator panel plugs into unit 92, and is part of the LRI test system. 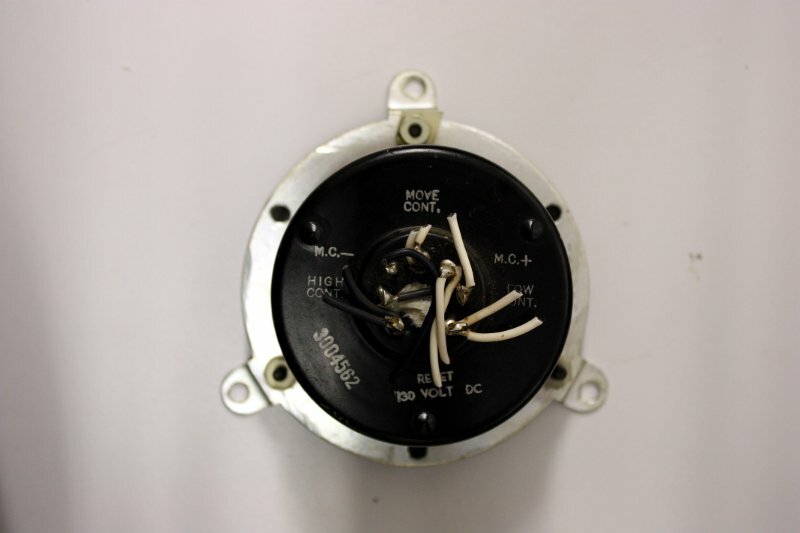 The part number is 3087887. 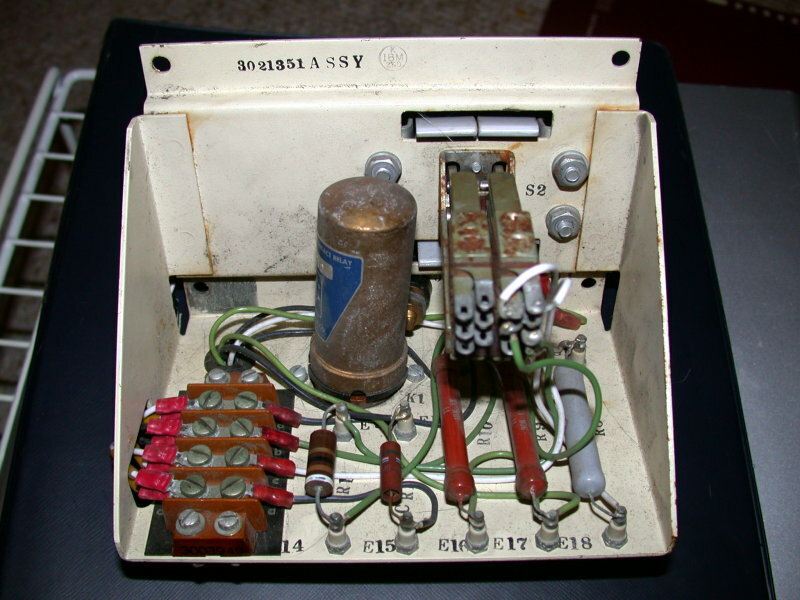 The lamps behind the green lenses are #1835 (55V), and the "Message Indicator" lamp is a NE-51 neon. 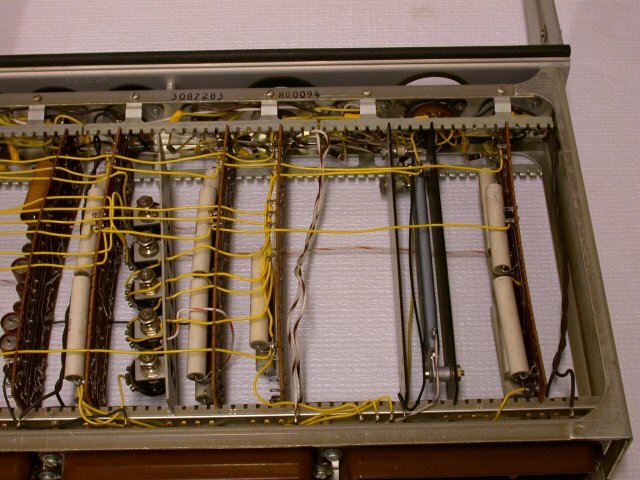 The last picture shows where the panel would be located. 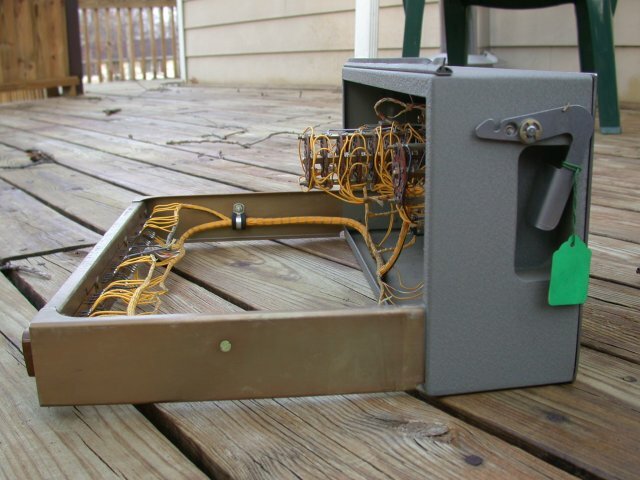 I picked up a box of the same green indicator lamp assemblies used in the LRI Test Pattern Generator, a spare switch and neon lamp socket assembly, and an extra Start button. 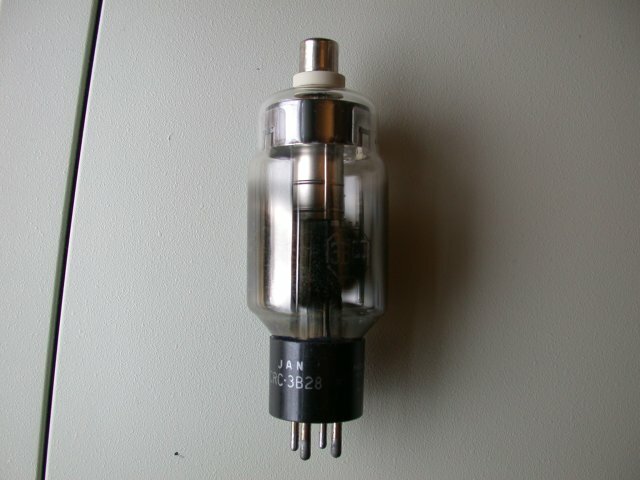 The socketed lamps are miniature bayonet based, #1835 (55V). 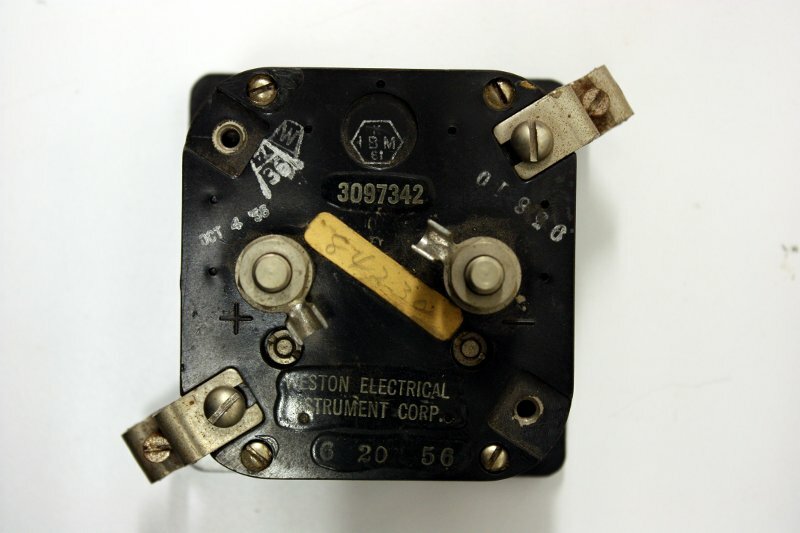 The indicator assembly number is 3105762. 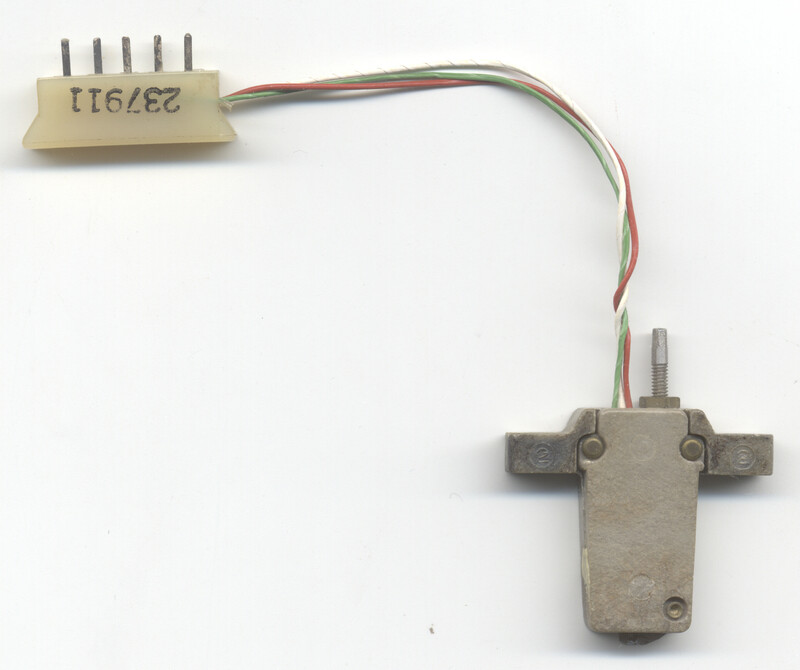 The dual switch assembly number is 3105763. 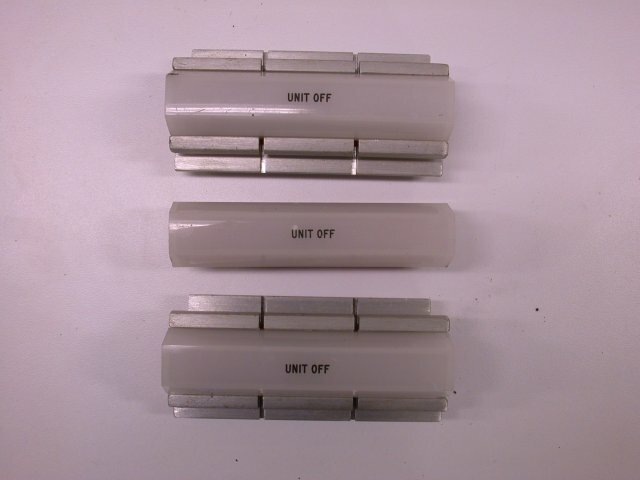 Along with the green indicator assemblies, I received 3 Unit Off indicators, with 2 mounting assemblies. 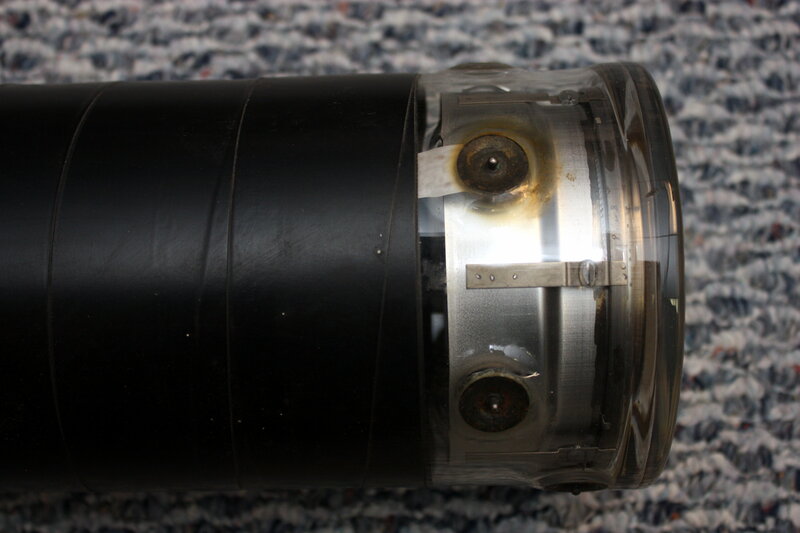 There is a red plastic lens behind the white translucent plastic. 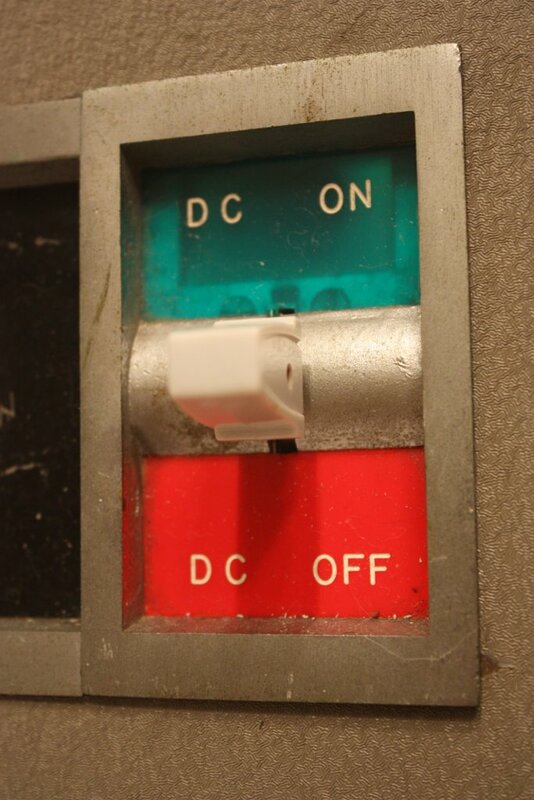 These were used on the power control panels on each frame, as shown in the last 3 pictures. 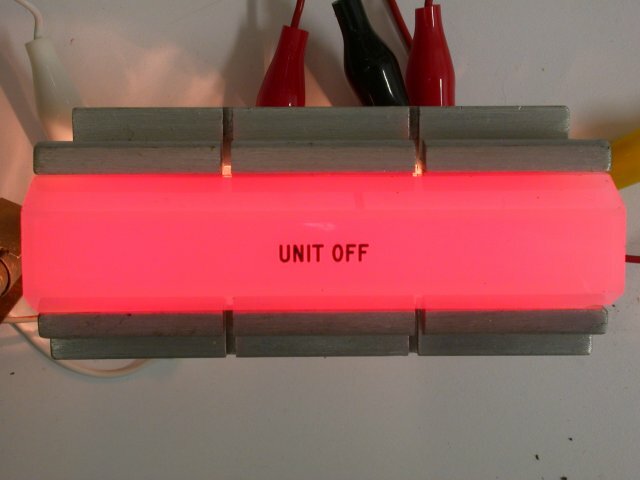 I couldn't resist adding the lamps and sockets, and lighting it up! 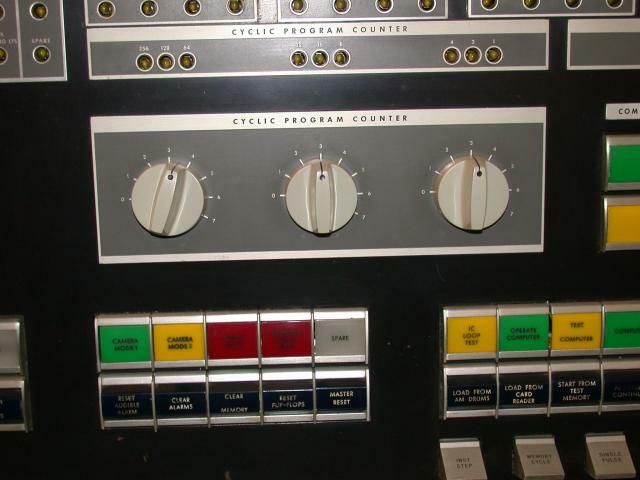 And speaking of power control panels, I finally acquired one. 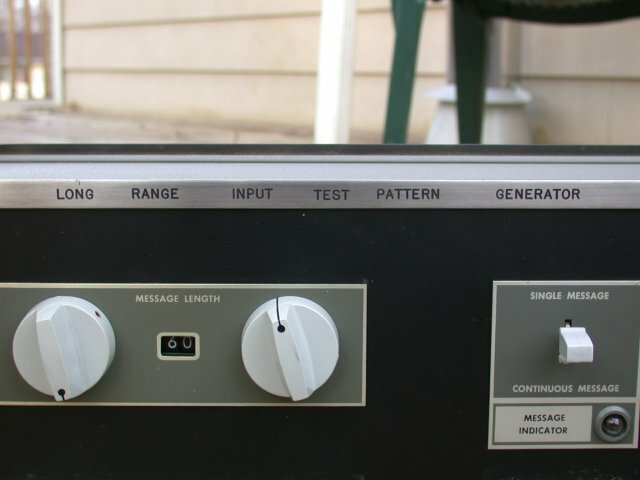 This particular panel was owned by a former prop company from Santa Monica called Vectrex Corporation. 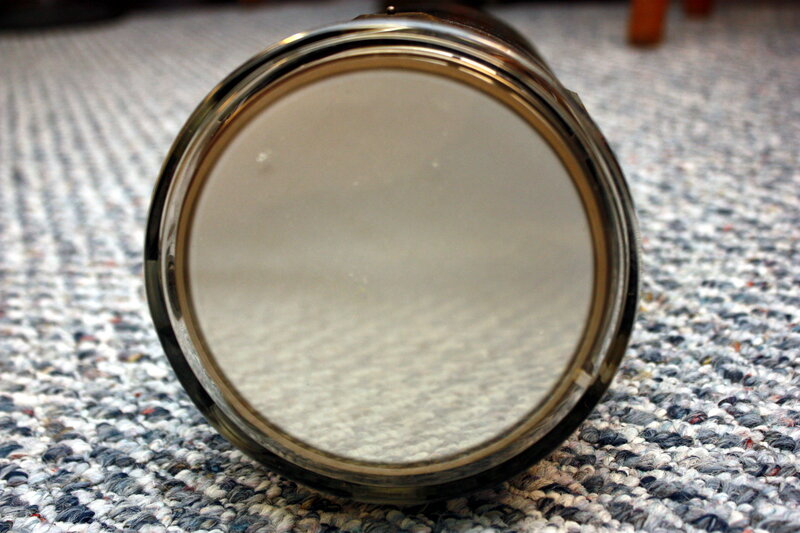 It was missing the Unit Off lens, so I installed one of my spares. 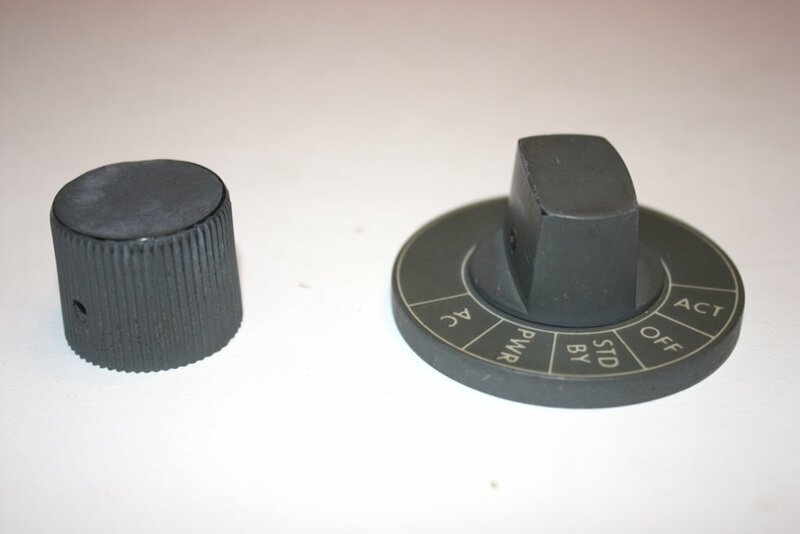 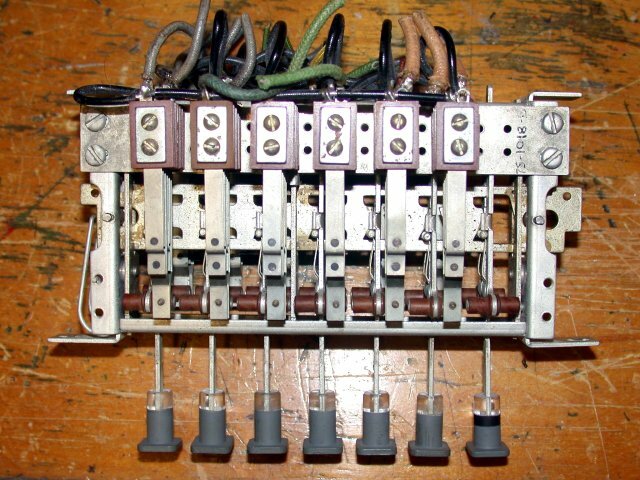 It was also missing both knobs for the AC/DC lever switches, which I was able to obtain from an Ebay seller. 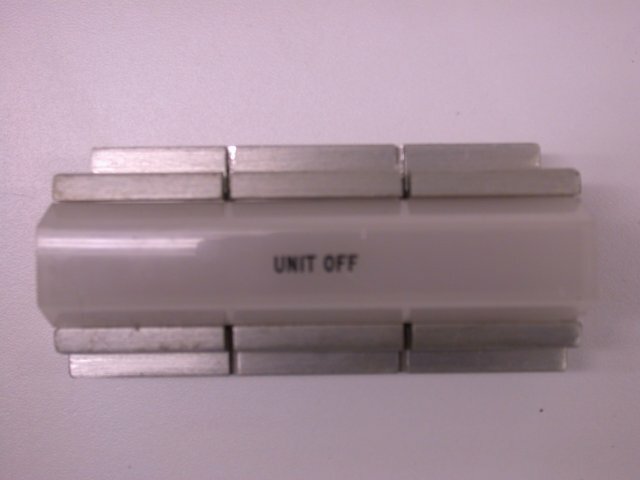 This is typical pluggable unit used throughout the SAGE system. 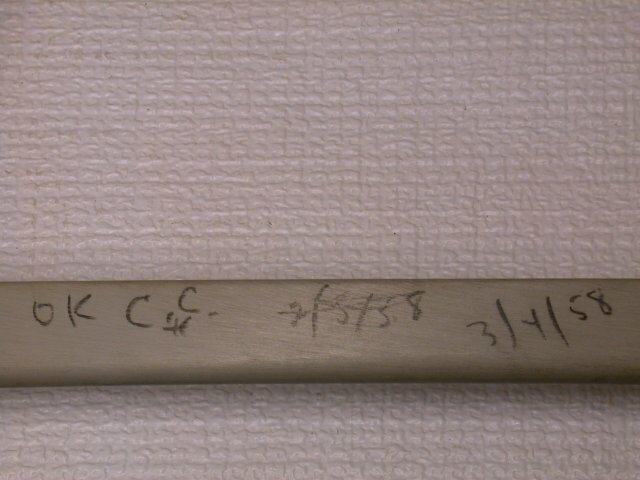 On the underside of the handle is written, "OK C.C. 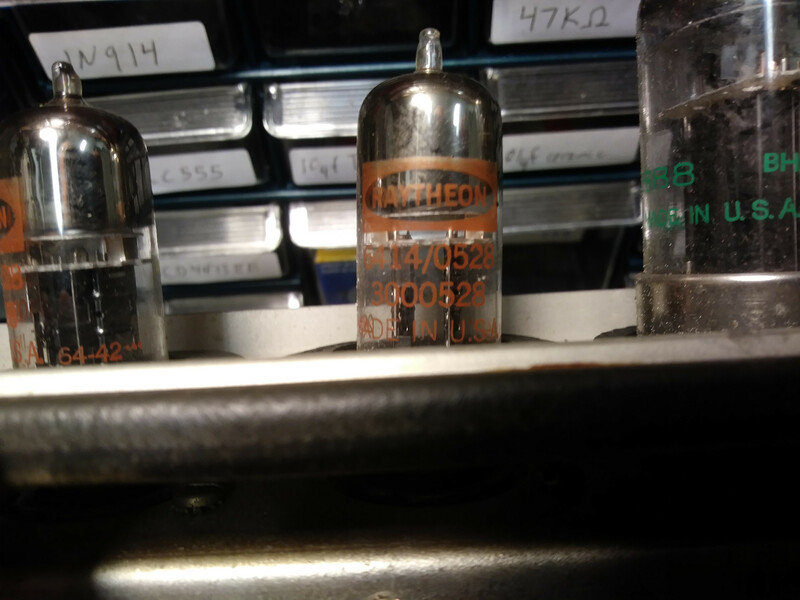 3/4/58". 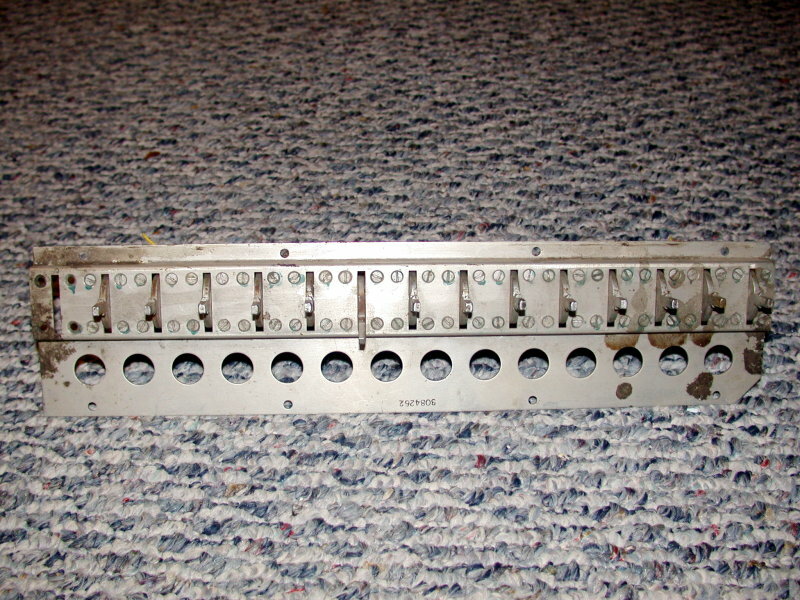 This is one of the large PUs, measuring approximately 17-1/2" x 16-1/2" x 2-1/2", and has sockets for 9 tubes. 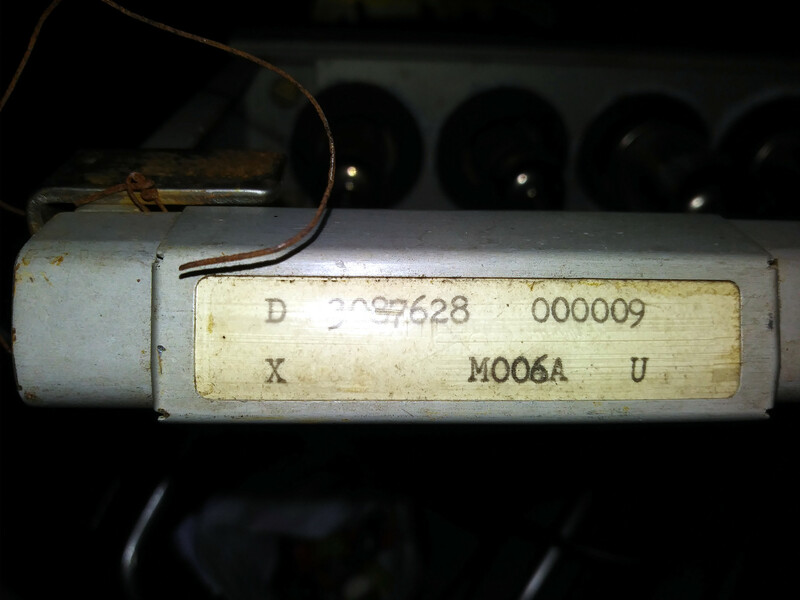 The part number is 3087283. 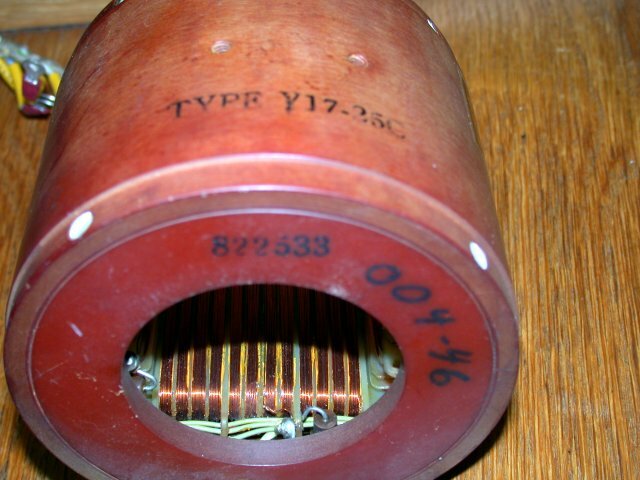 According to documentation held by a former SAGE student, this PU was used in the Vector Generation Circuit of the SDGE (Situation Display Generator) Unit 24, Module (Column) A, PU Slots T&V. 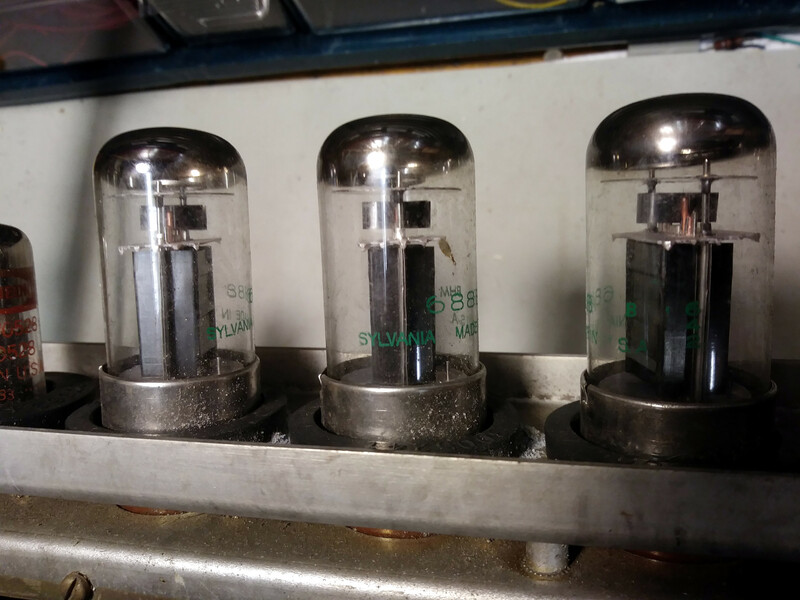 Note: the tubes shown in the last photo are not the correct tubes for this PU, just some old audio tubes I had. 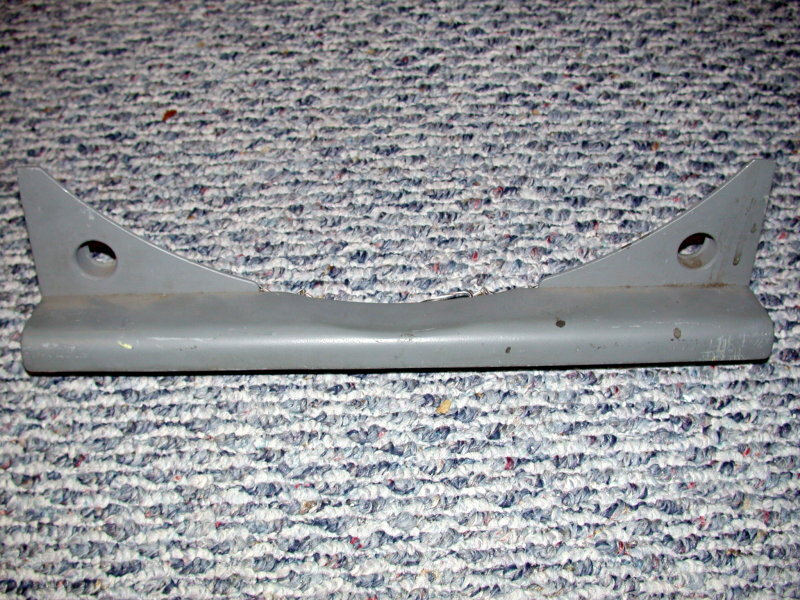 This is another large PU, p/n 3087628. 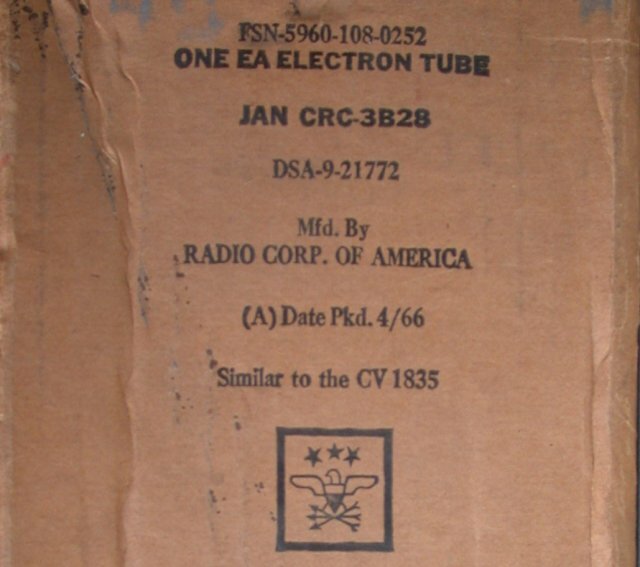 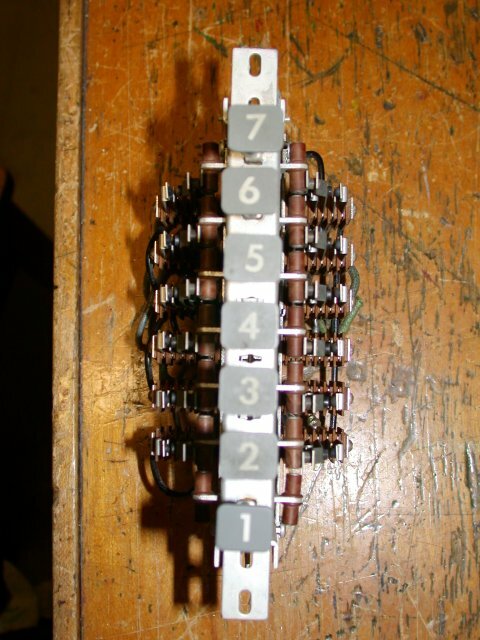 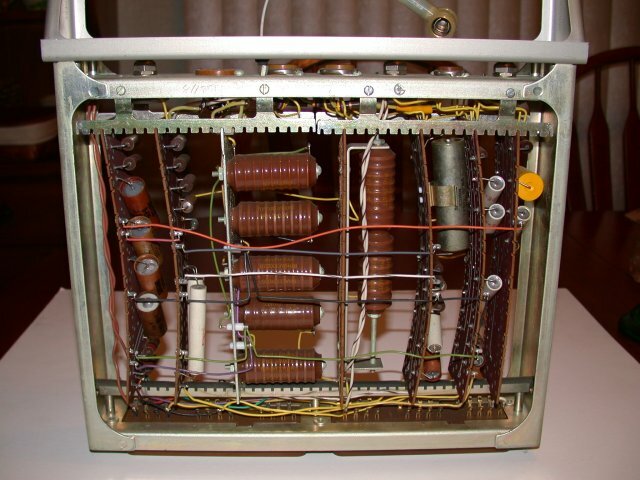 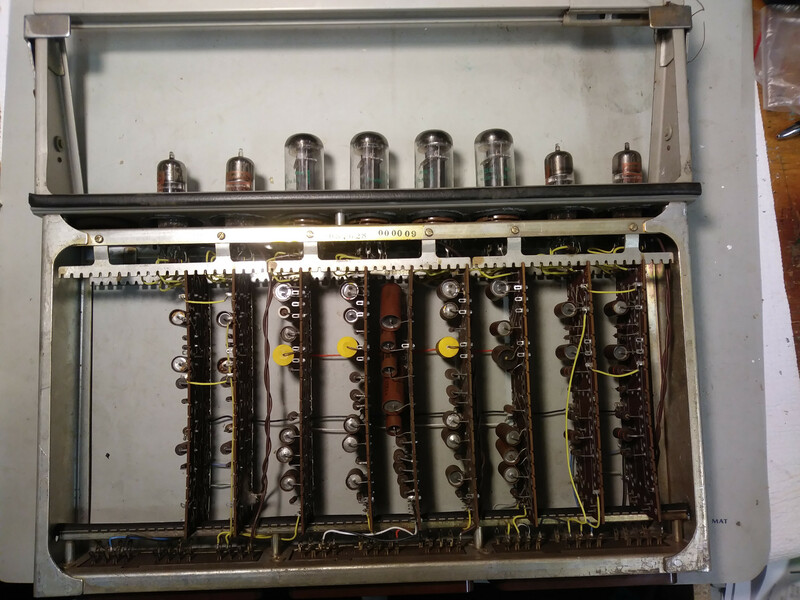 This one has the original tubes: the large tubes are 6888 and the small tubes are 6414/0528. 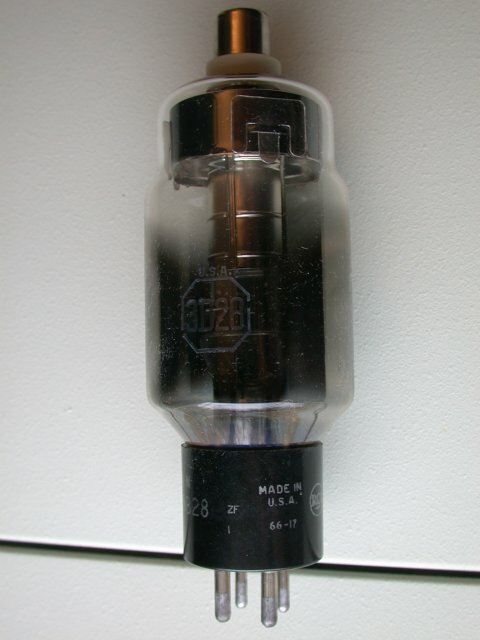 This is a smaller PU from the system, sans tubes. 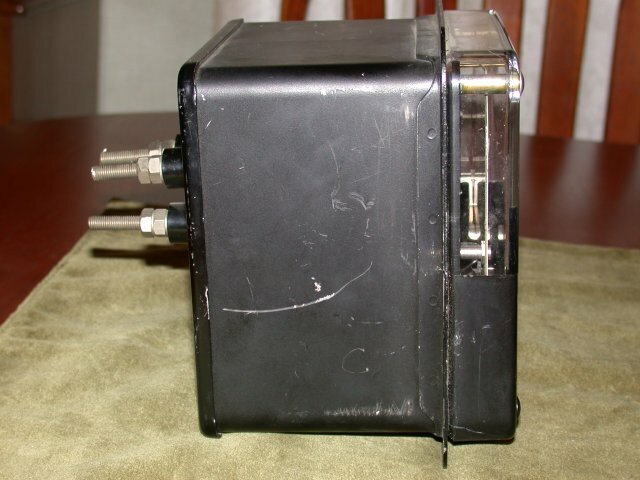 It measures 15"x12"x2-1/2", and has a 7-pin tube socket, two 9-pin sockets and a large 8-pin socket with cap. 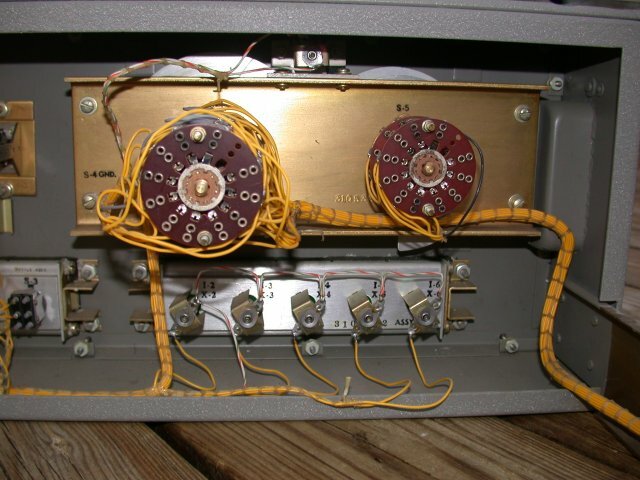 There are three adjustment pots, labeled Amplitude, Centering, and Slope. 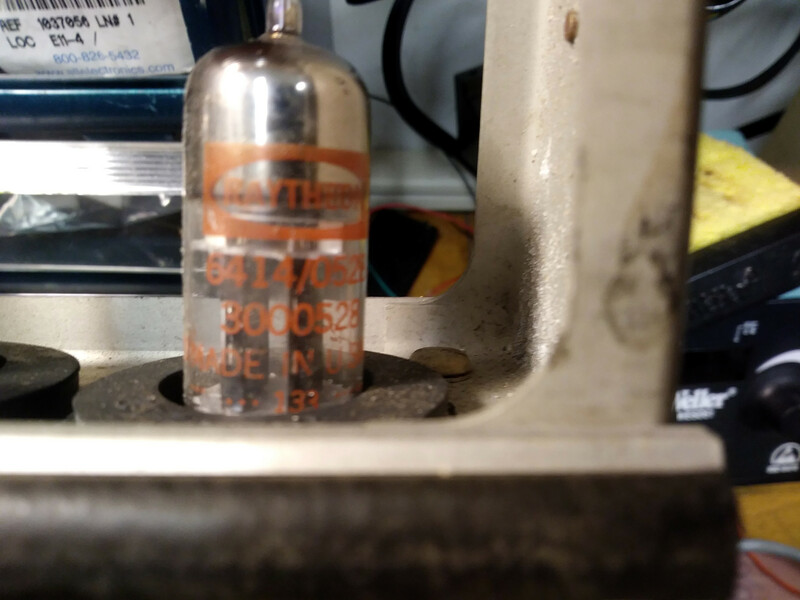 The part number is 3087388, and the label reads "D 3087388 B00086 52109 7278". 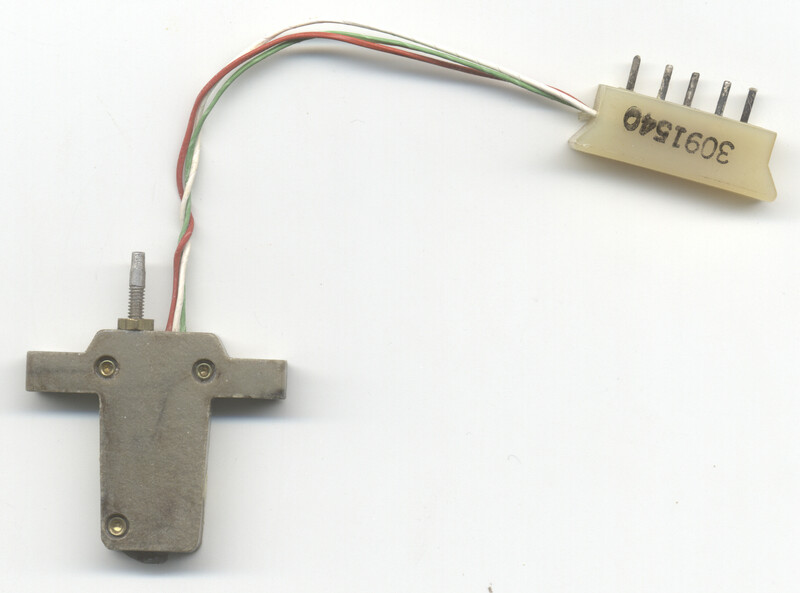 Documentation suggests that this PU was used in the GFI Mapper equipment. 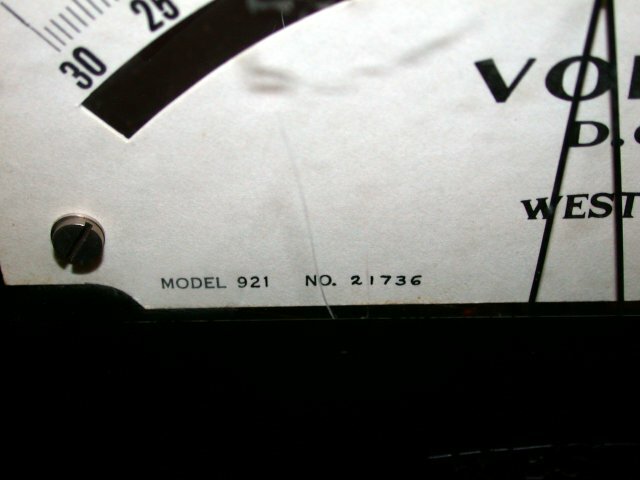 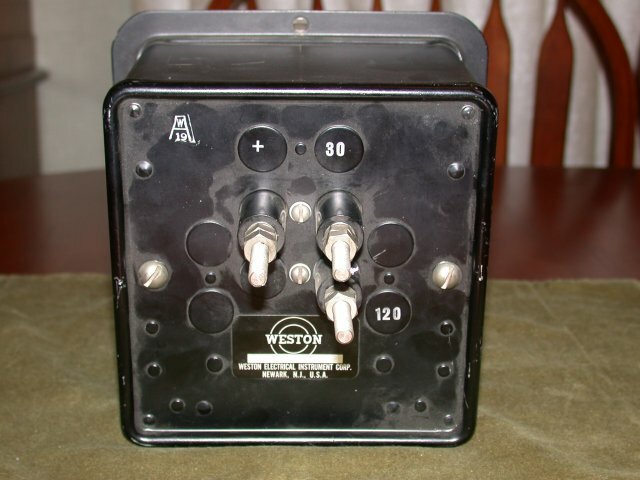 This Weston model 921 meter is the same type of meter used on the Duplex and Simplex Maintenance Consoles, on the Marginal Checking System panel. 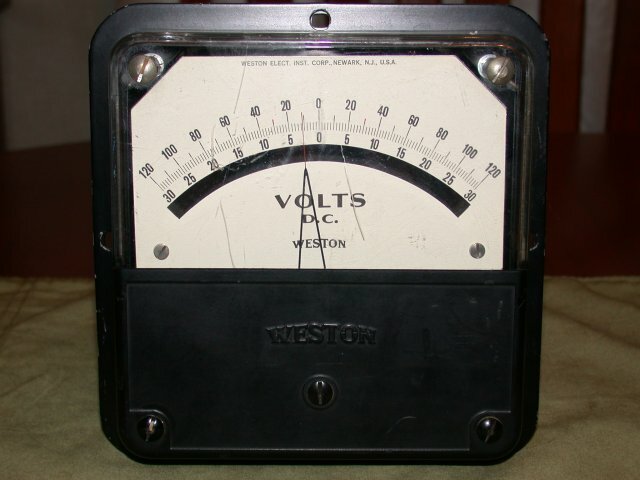 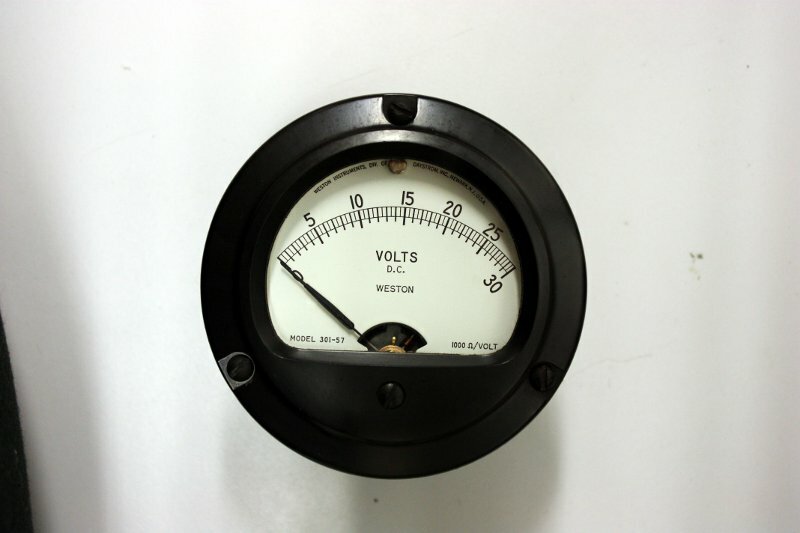 This particular meter did not come from a SAGE system. 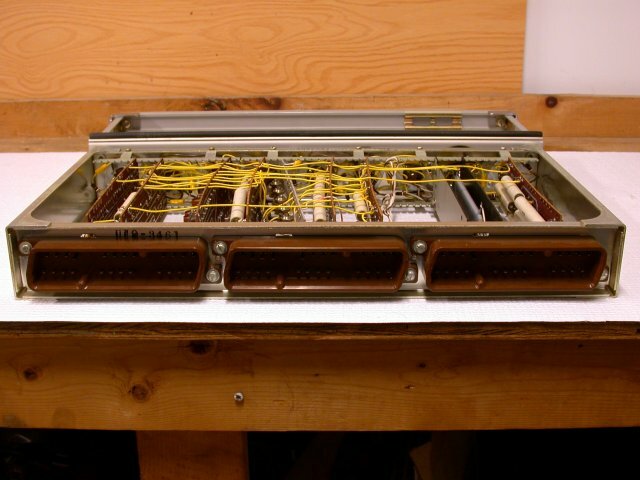 The next to last photo is of the DMC at the Computer History Museum. 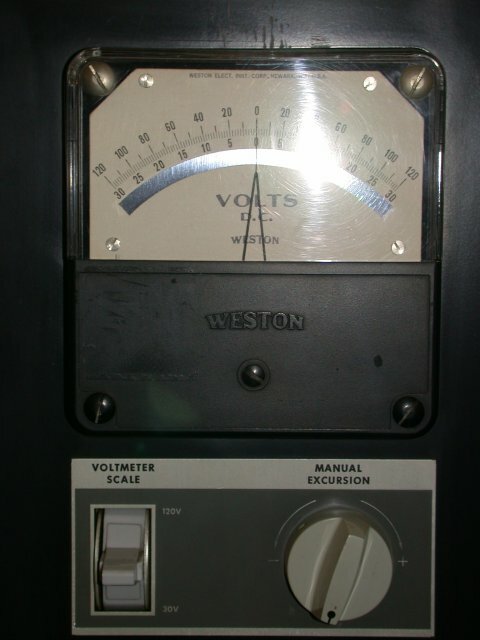 Notice on that panel that the meter has four screws on the faceplate, while mine has only two. 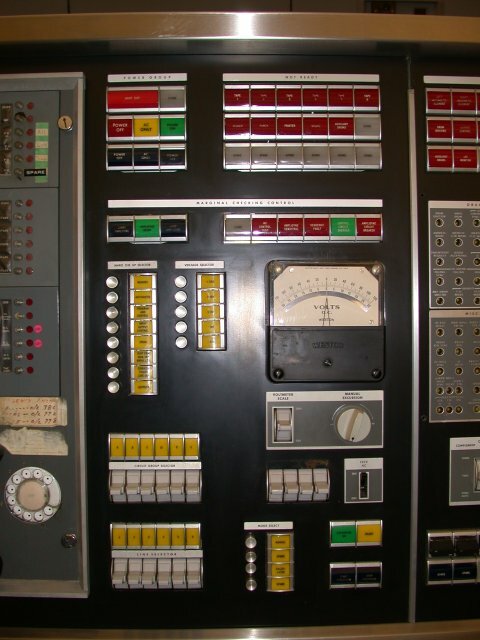 However, the last photo is of the DMC at McChord AFB, and its meter has two screws on the faceplate. 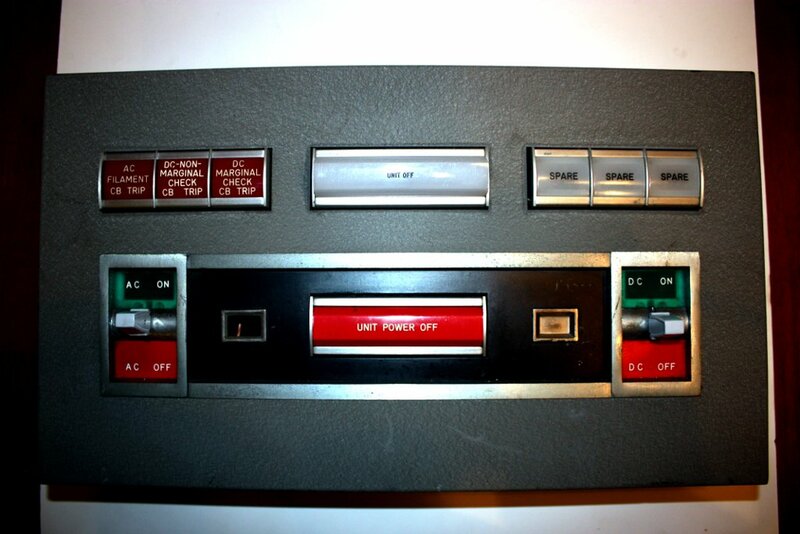 These faceplates are actually from the AN/FSQ-8, the Combat Control Center version of the SAGE computer. 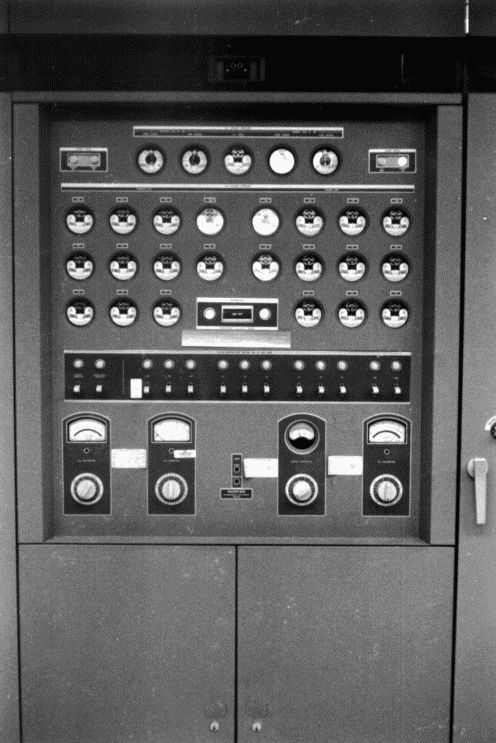 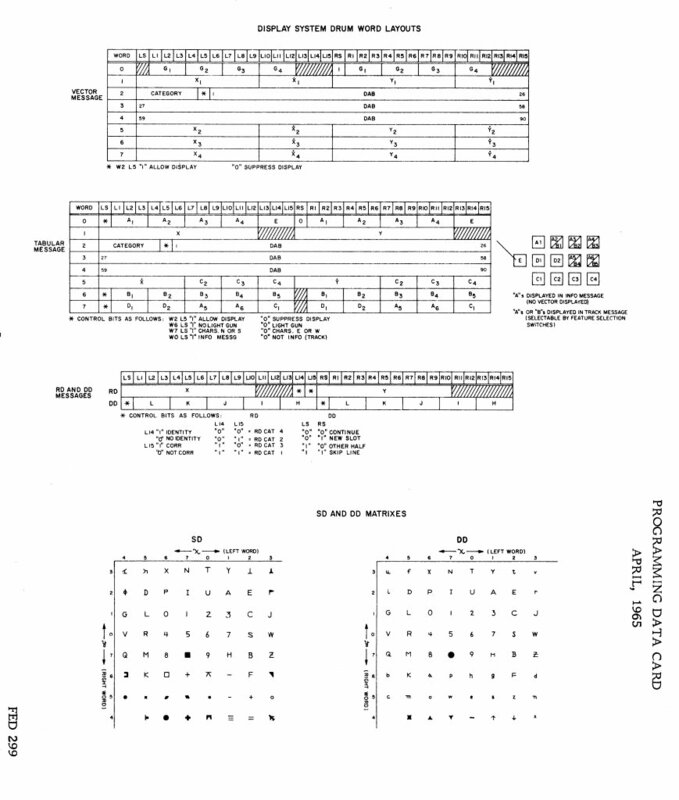 They are used on the Output System's Test Panel, found on Unit 42. 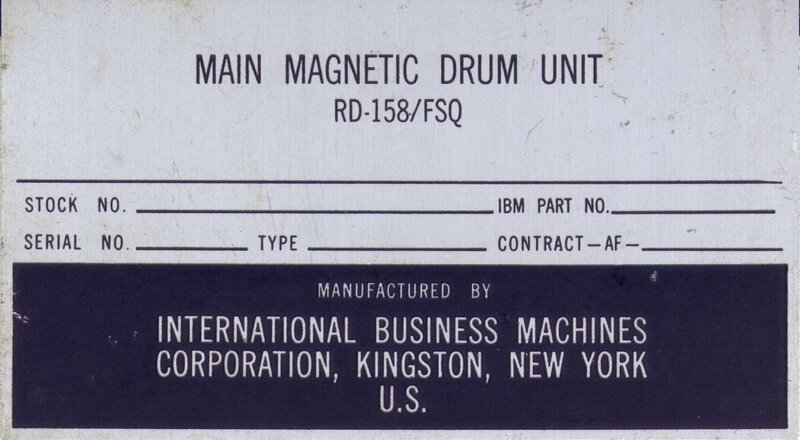 They were brand new, still in the box, and probably came from either the IBM plant at Kingston or Poughkeepsie. 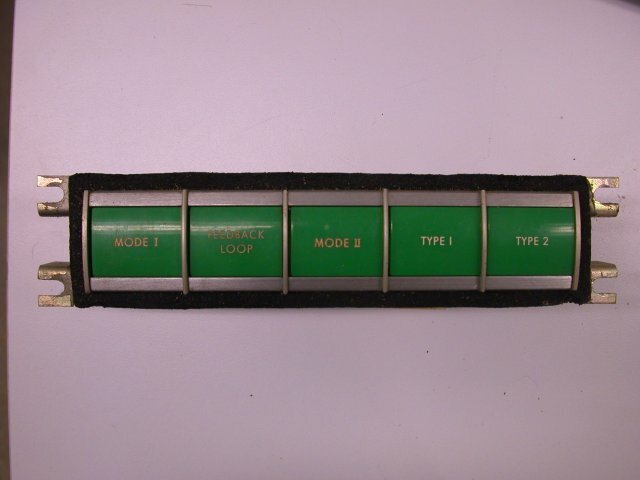 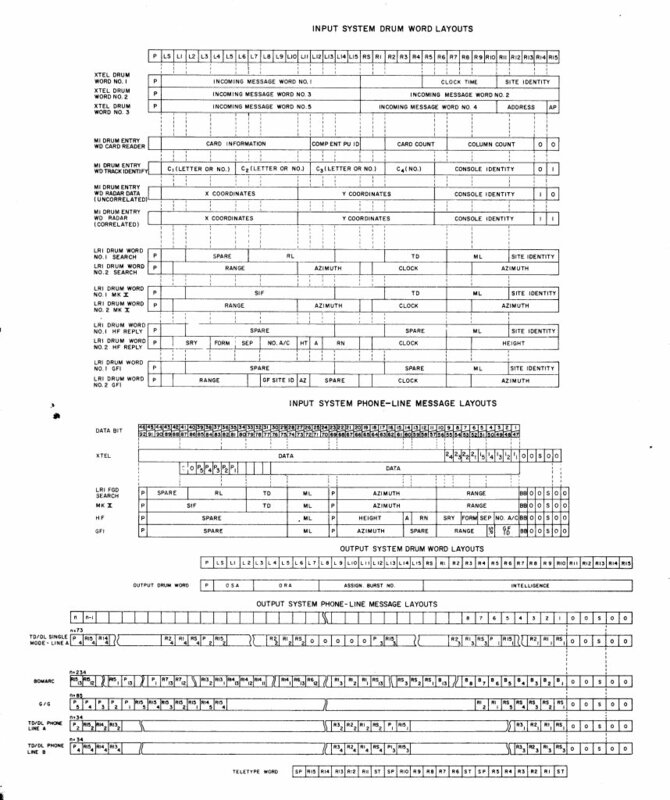 The part number on the Frame Loops Test box is 3091889. 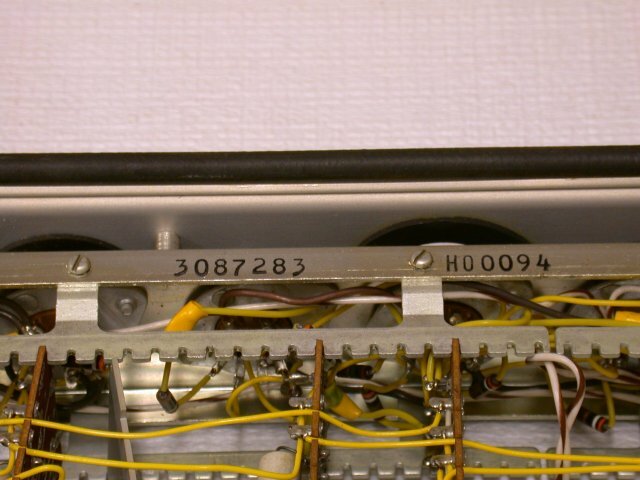 The part number on the Select Output Channels box is 3091888. 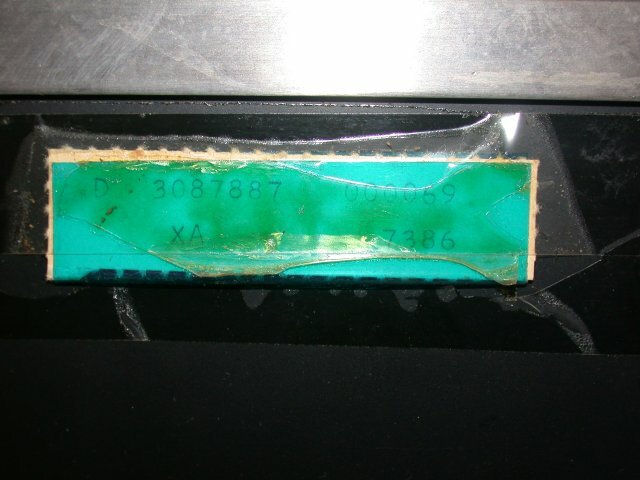 The part number on the O B Register box is 3091886. 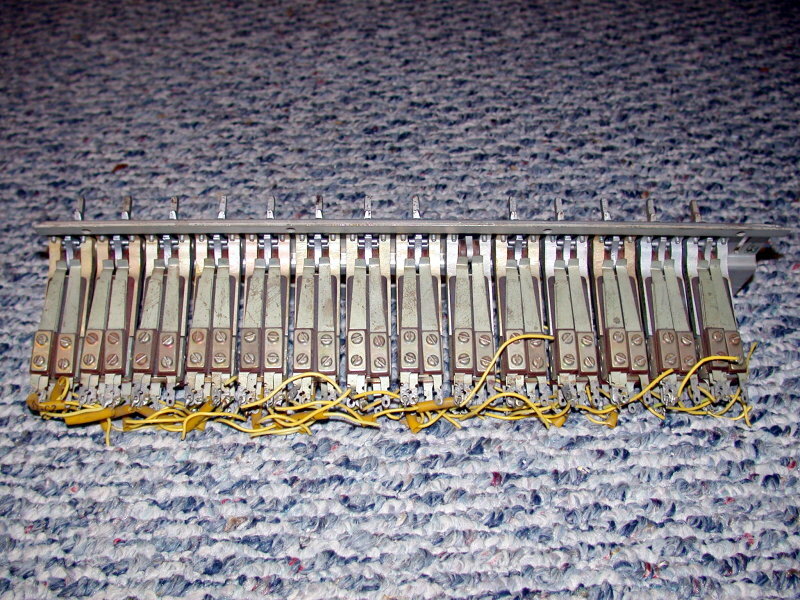 The right-hand picture is the Test Panel (from the manual). 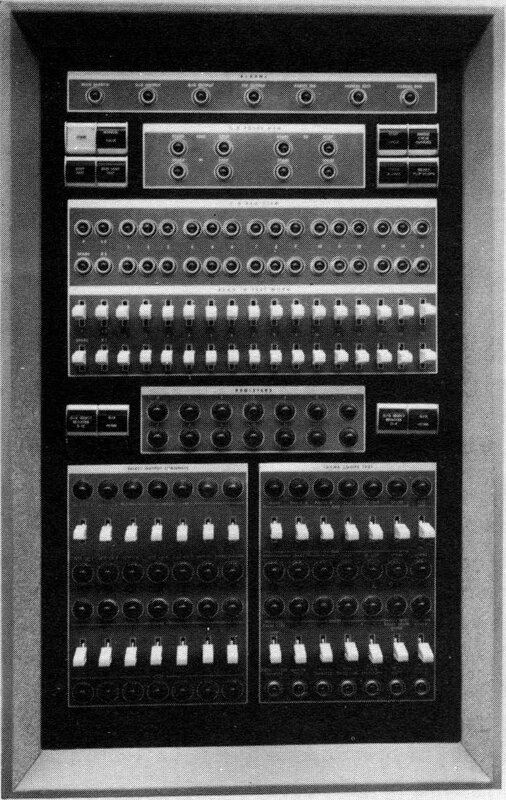 These ID plates are from frame 22 (RD-158/FSQ, Main Drums), and a display console (IP-350/FSQ). 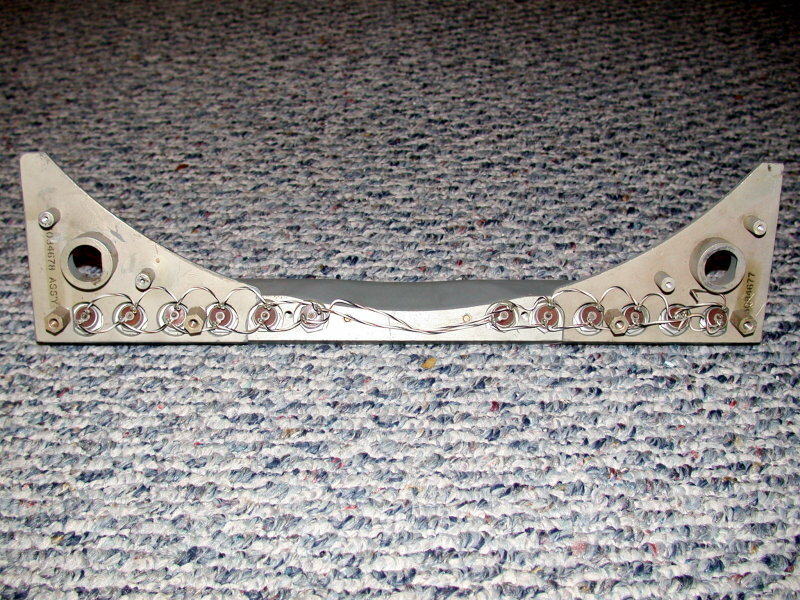 This is a head from one of the drums, p/n 3091540. 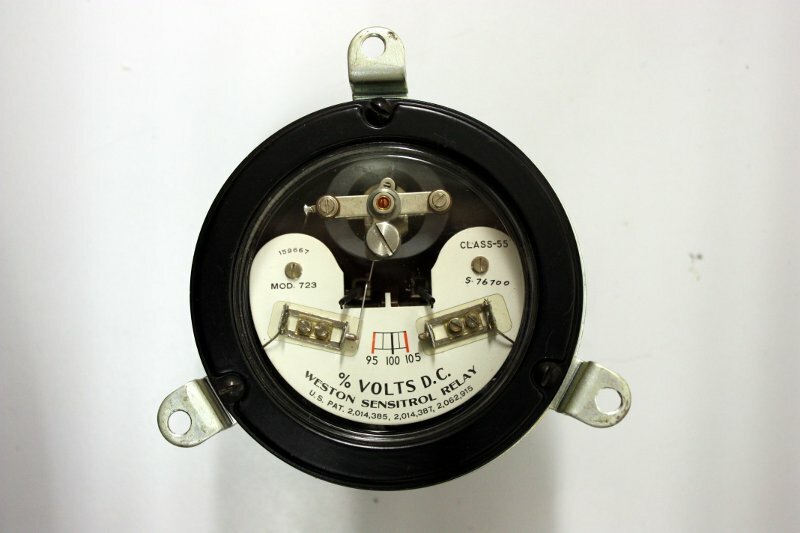 This is an older style head, as illustrated in the 1957 T.O. 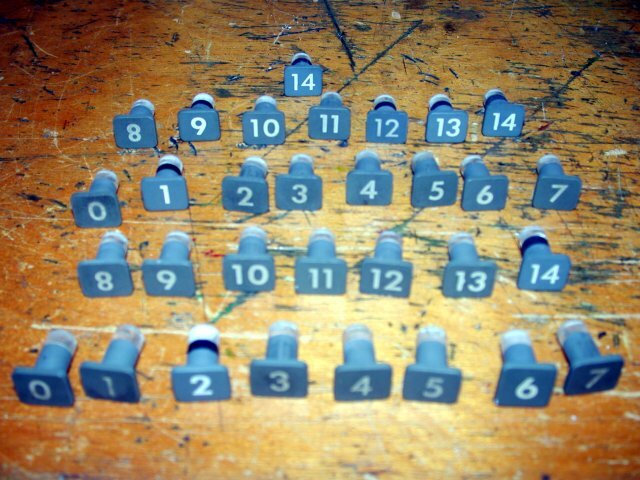 31P2-2FSQ7-42. 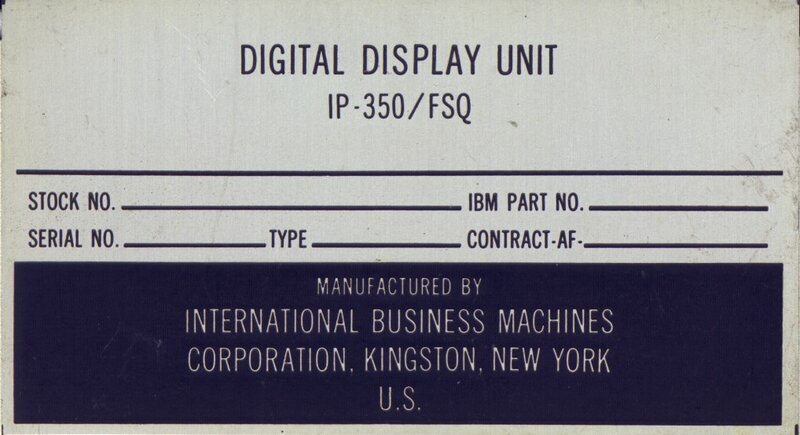 This is a Programming Data Card, from April, 1965. 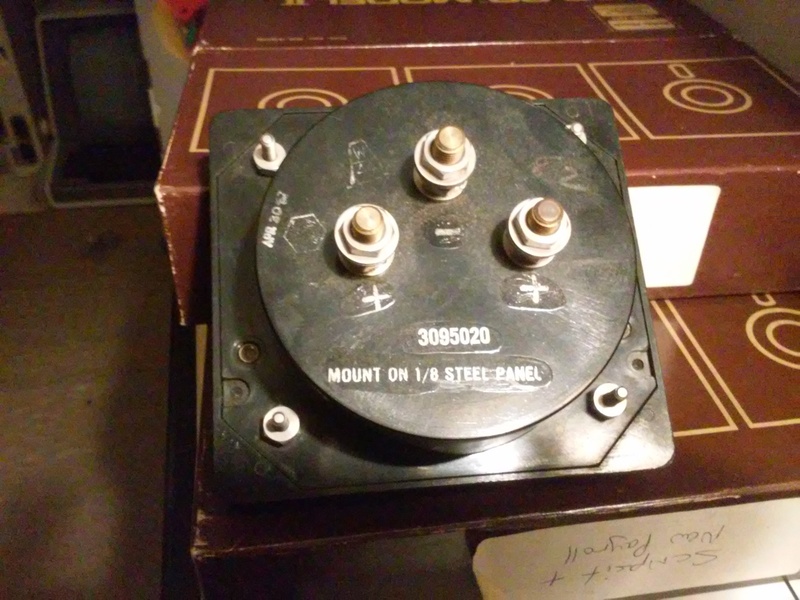 It is punch-card sized, and has the label, FED 299 on the bottom. 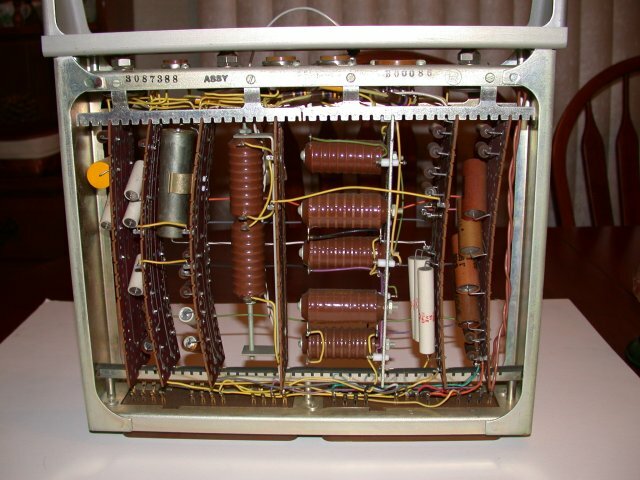 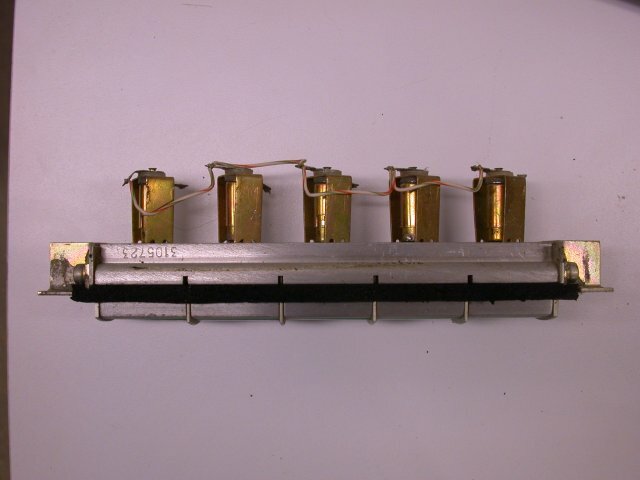 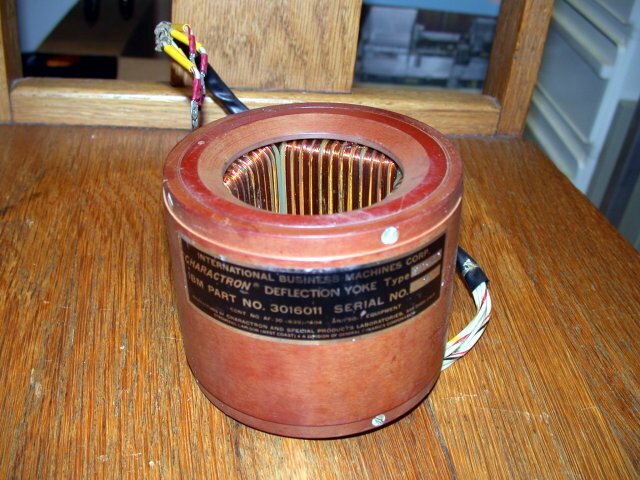 This is a 3B28 high voltage rectifier tube from the Q7. 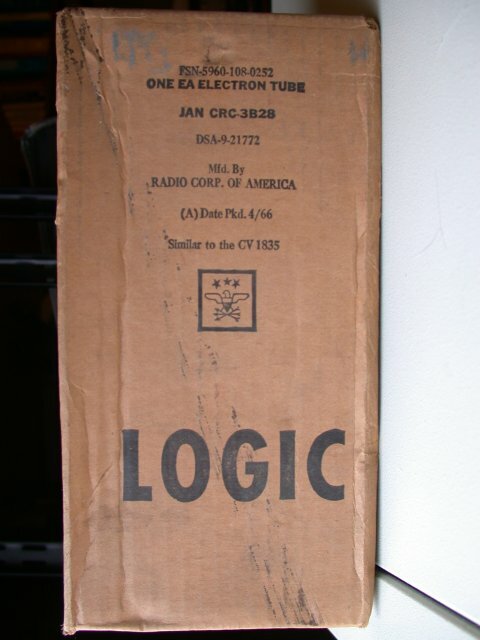 I received this in its unopened box. 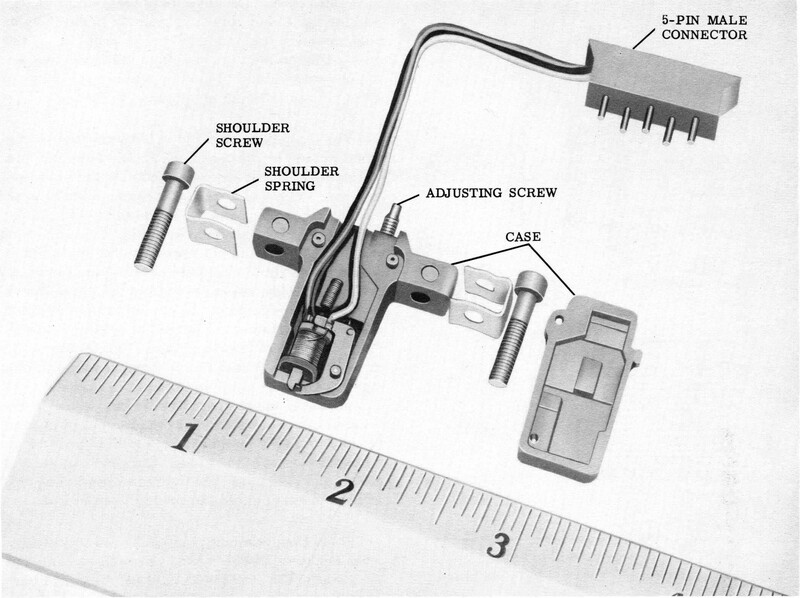 Here are a pushbutton switch assembly, numbered and blank button caps, a 15 position lever switch assembly, the lower lighted bezel and a knob and dial from a display scope. 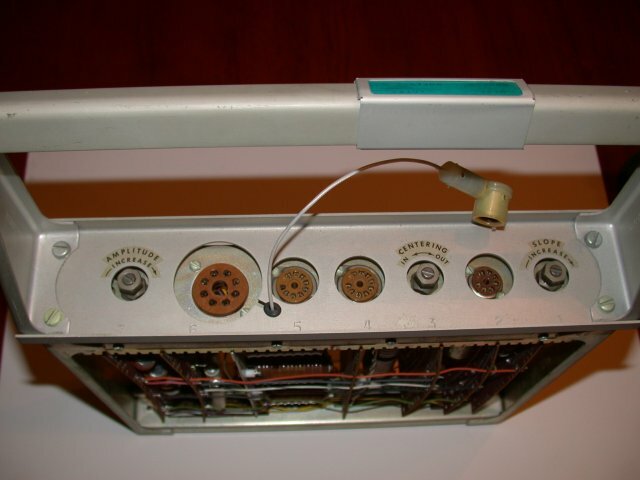 The bezel has a row of lamps inside to illuminate the desktop. 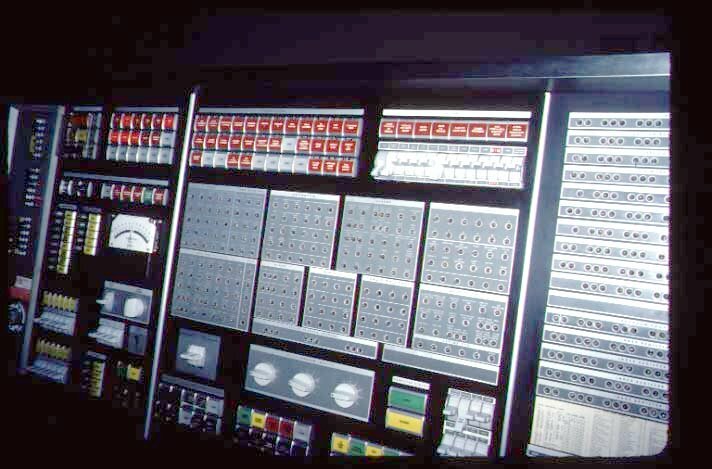 The two console pictures were taken at the Computer History Museum. 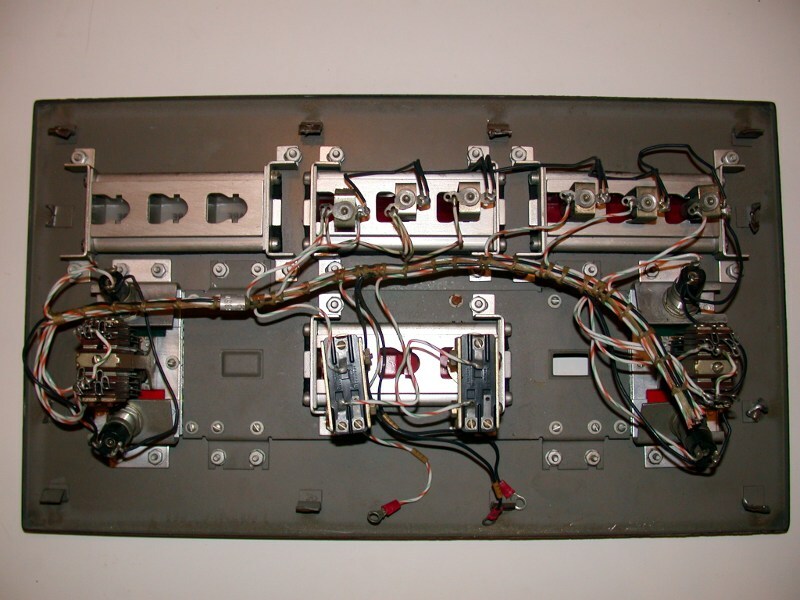 This assembly was part of the Duplex Maintenance Console, and was located over the scope bay. 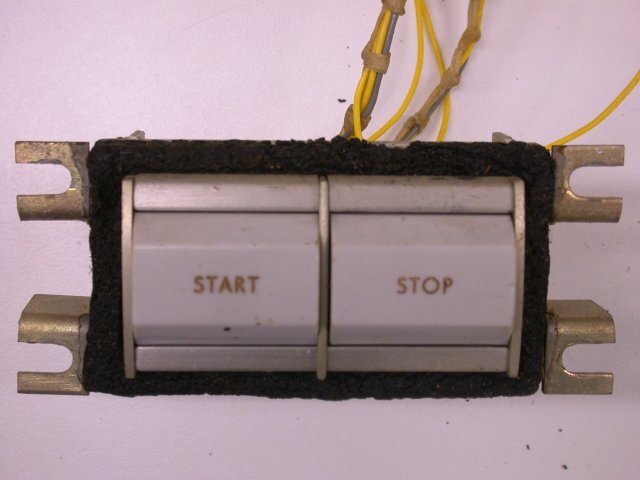 The left switch would be labeled "Signal Test" and the right "Spare", and have an Off (up) and On (down) position. 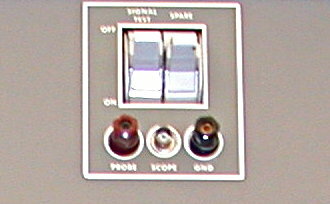 The test jacks are "Probe" (red), "Gnd" (black) and "Scope" (BNC). 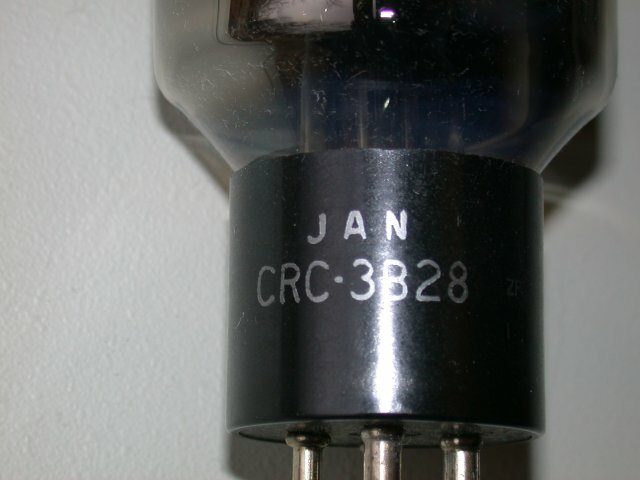 The assembly number is 3021351. 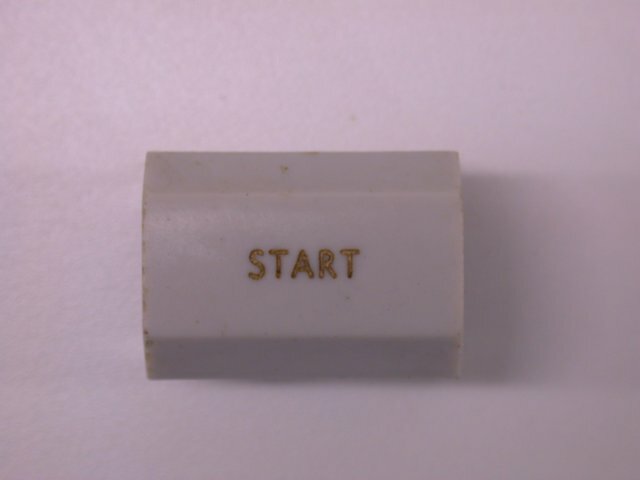 The last two pictures are from the Computer History Museum. 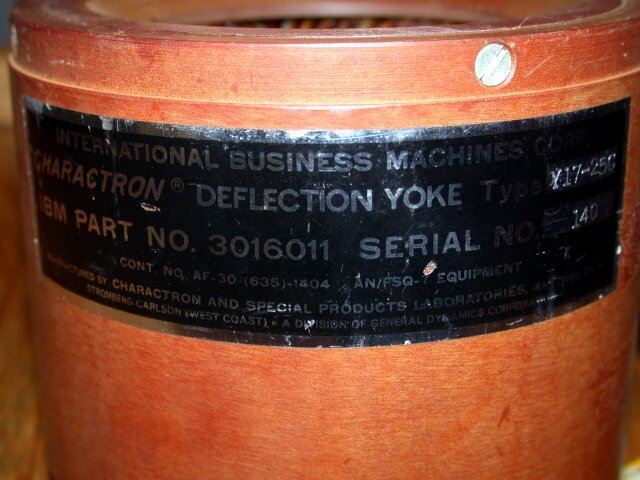 This is a Charactron Deflection Yoke from the large 19" tube in the display consoles. 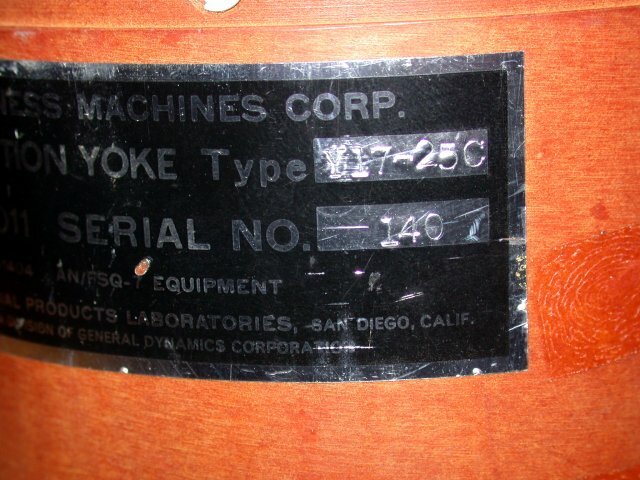 It has IBM part number 3016011, Serial number 140, and also has labels Type Y17-25C, 822533 and 004-46. 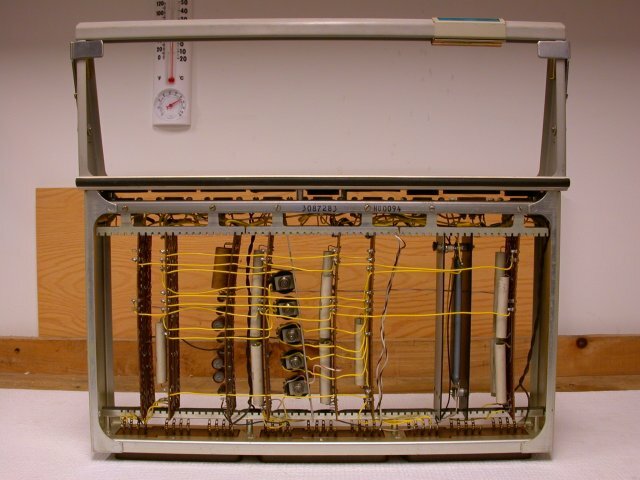 It was manufactured by Stromberg Carlson for IBM. 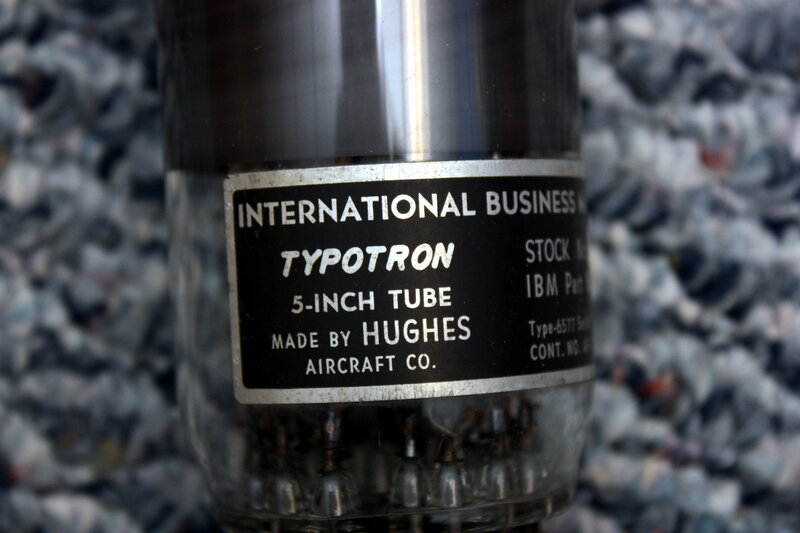 They also made the 19" Charactron display tubes. 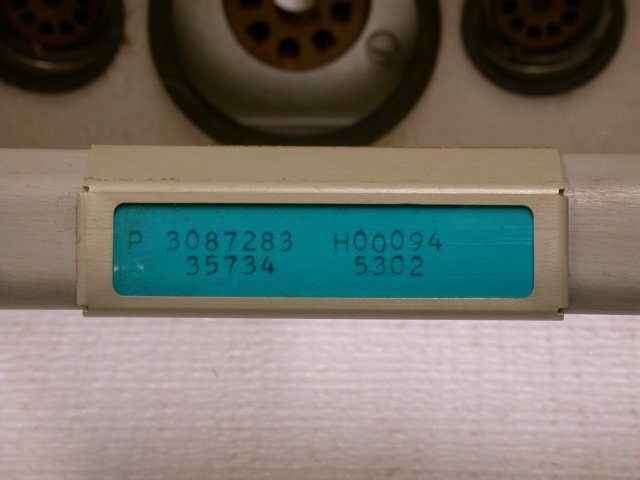 This is a 5" Typotron display from a display console. 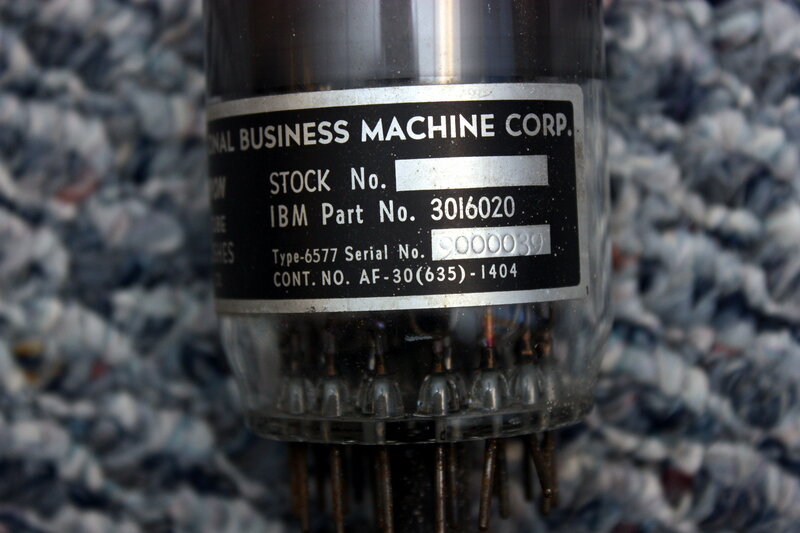 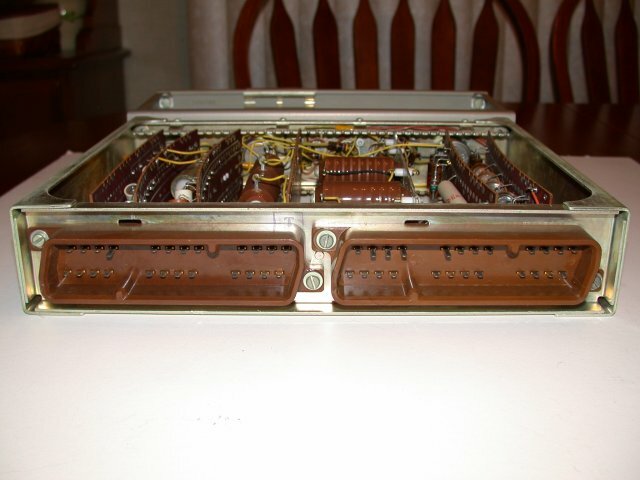 It has IBM part number 3016020, Serial number 900039, Type 6577. 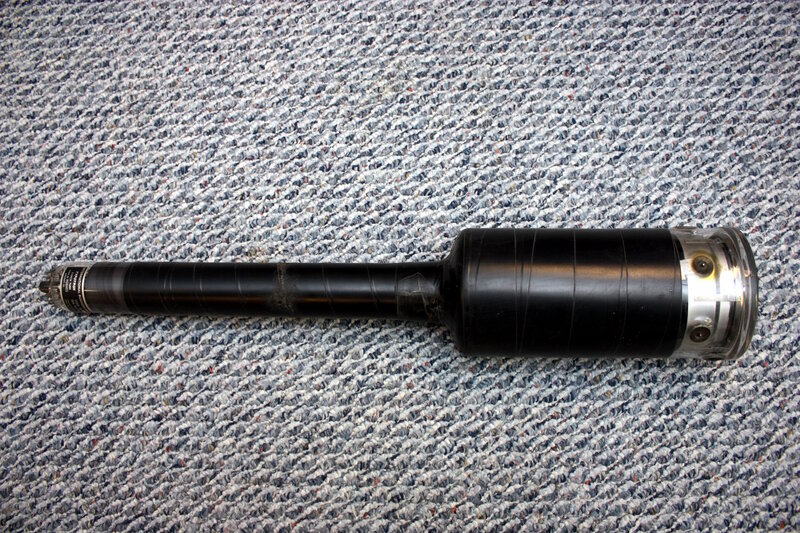 The tube is 31" long, 5-5/8" in diameter at the front face, and 2-1/4" diameter through the neck. 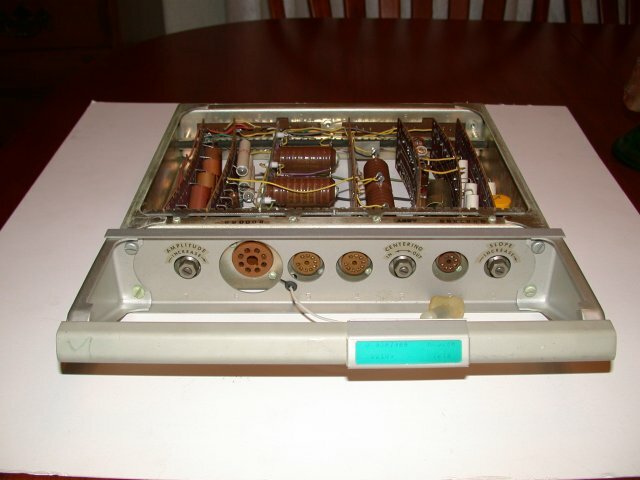 It was manufactured by Hughes Aircraft for IBM. 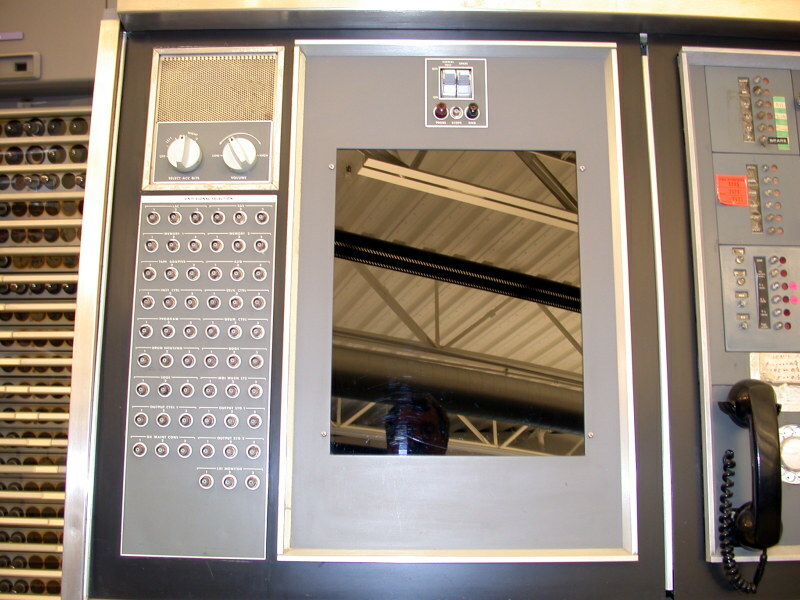 This DD (Digital Display) tube displayed only character information, and was located in the upper right corner of the console. 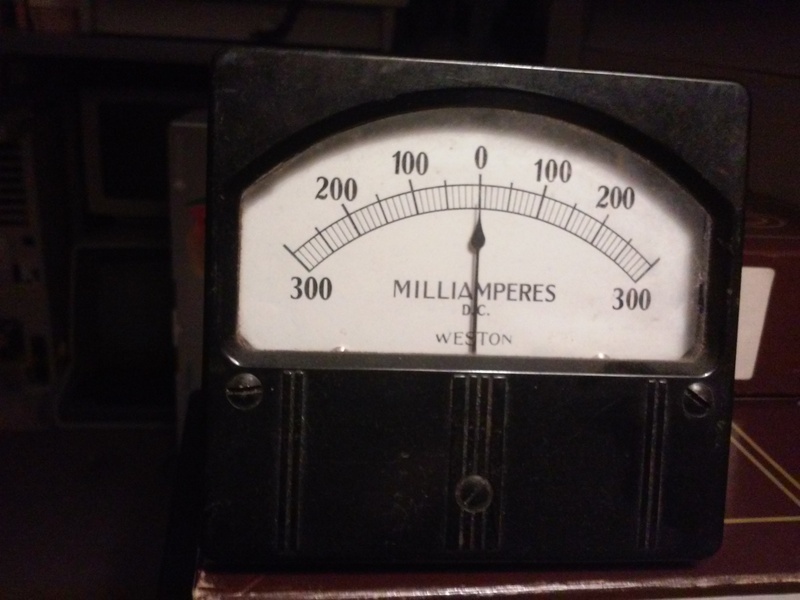 Various meters from the power supply cabinets. 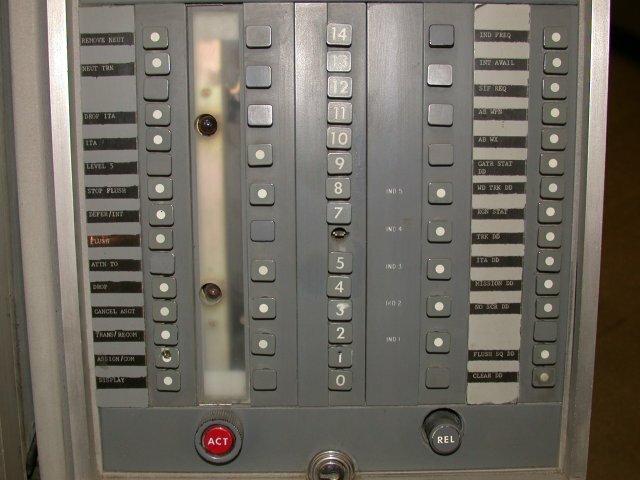 I can't say for sure that all of these were from a SAGE system, but the part numbers are in the right range. 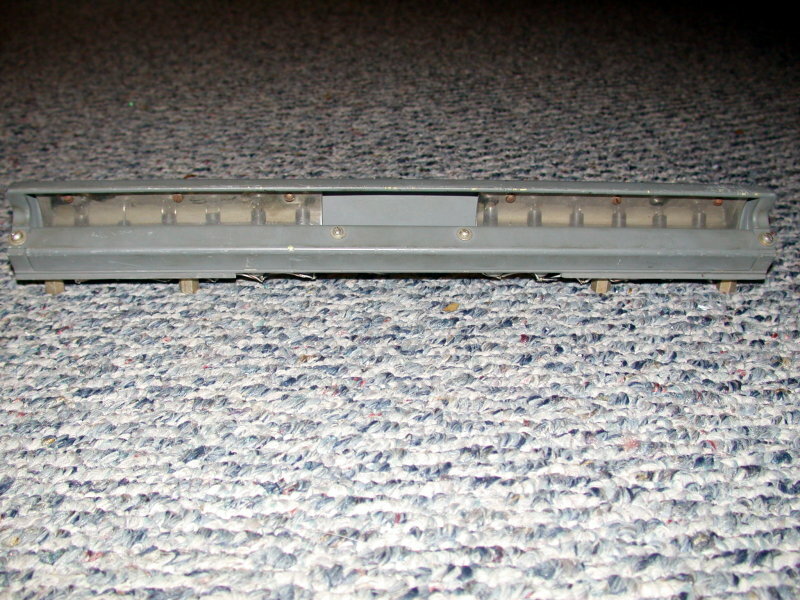 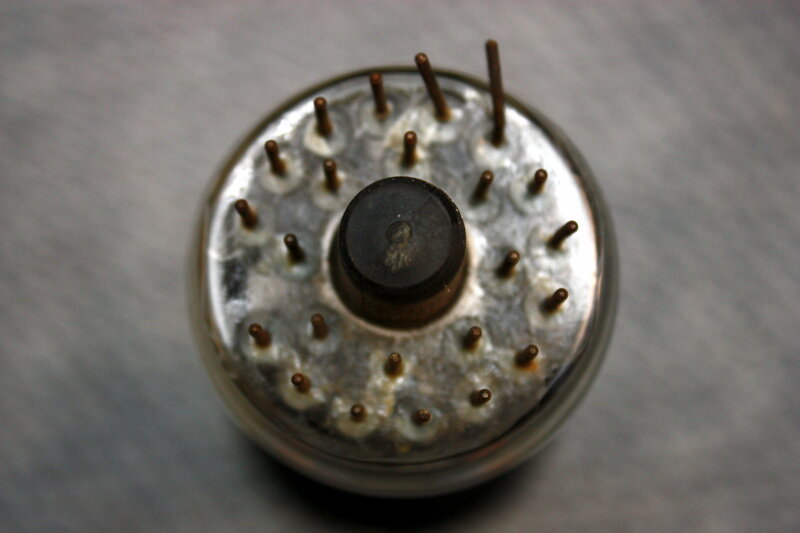 Capacitor tray from a Q7 power supply. 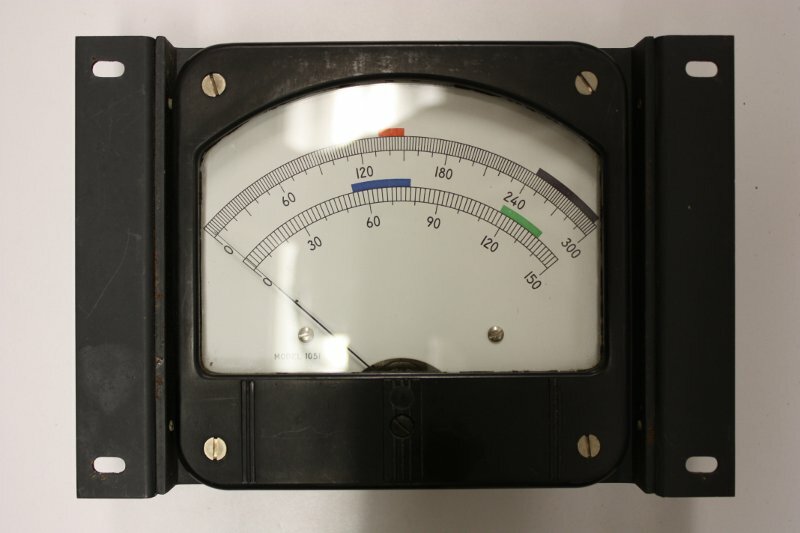 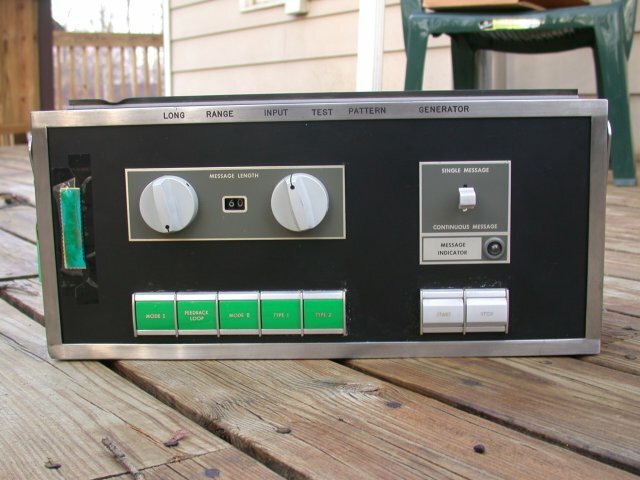 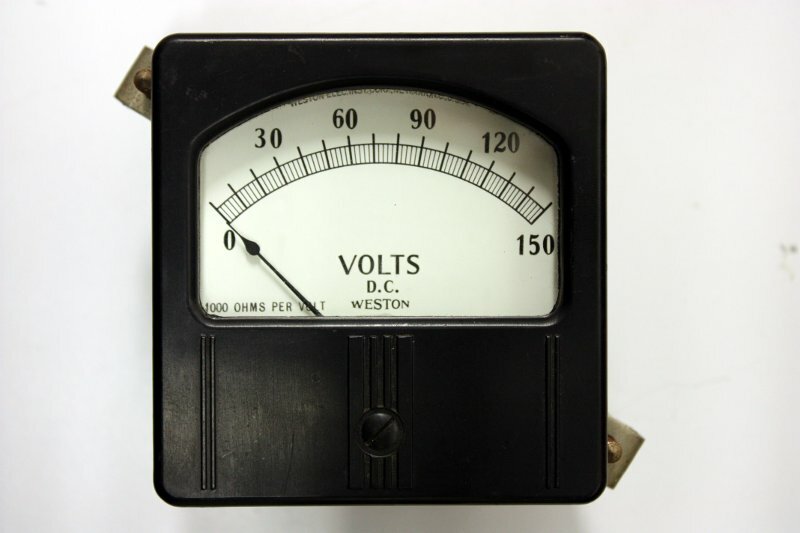 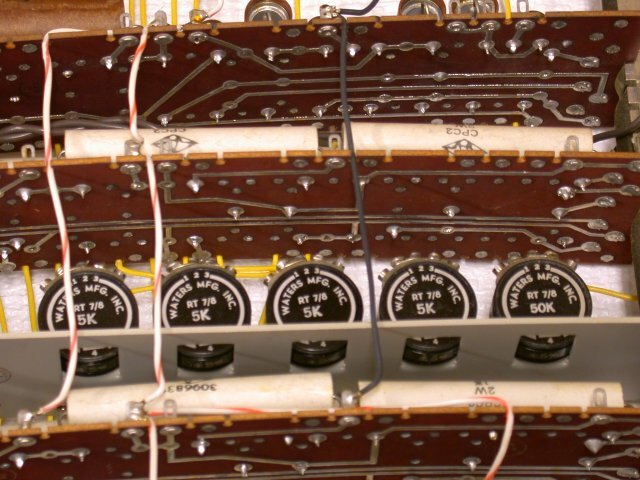 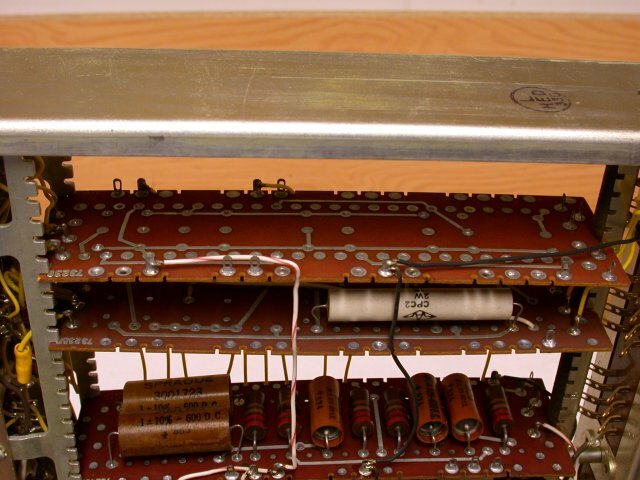 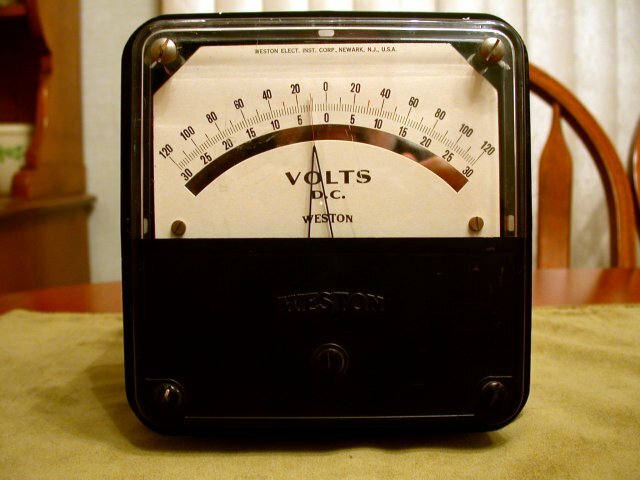 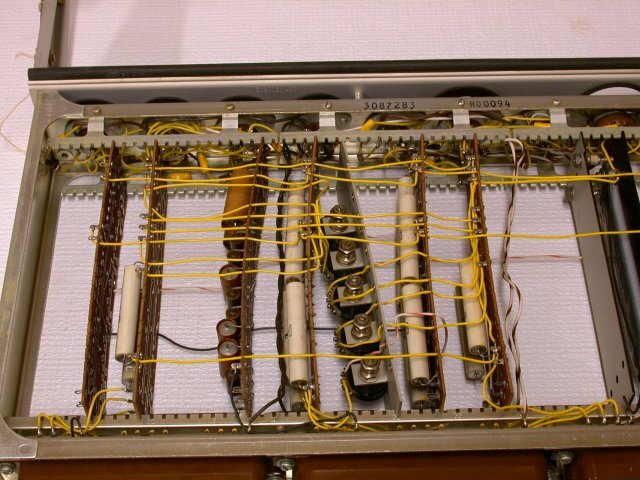 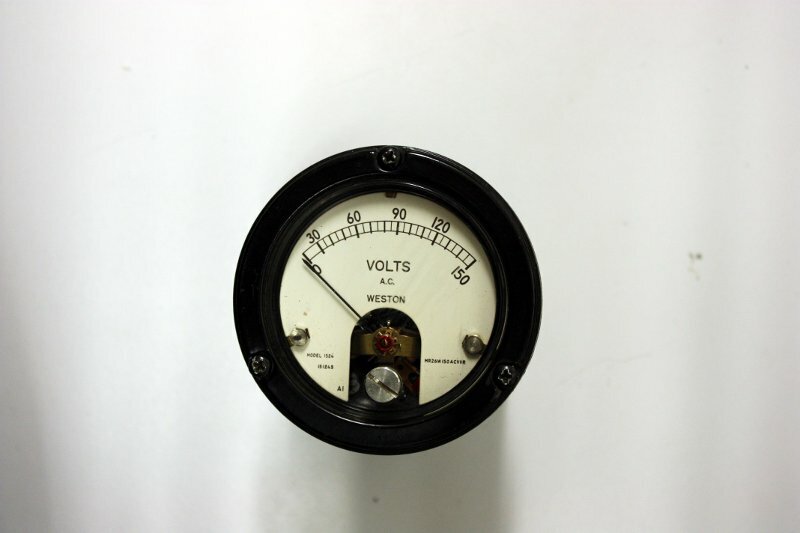 The indicator on the front panel would be a neon lamp, which illuminated when there was a shorted capacitor. 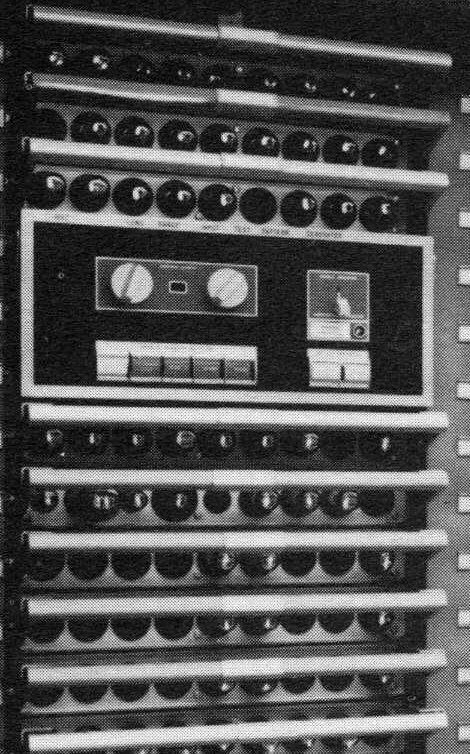 SAGE AN/FSQ-7 at the Southwest Museum of Engineering, Communications and Computation. 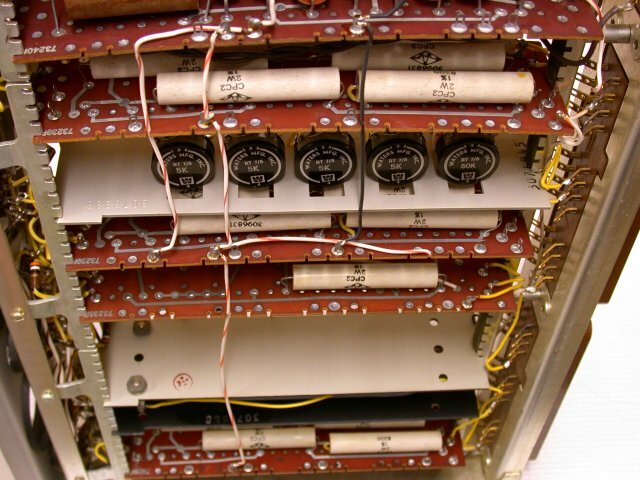 AN/FSQ-7 "Whirlwind II" Intercept Computer, and photos of the Q7 at Luke AFB. 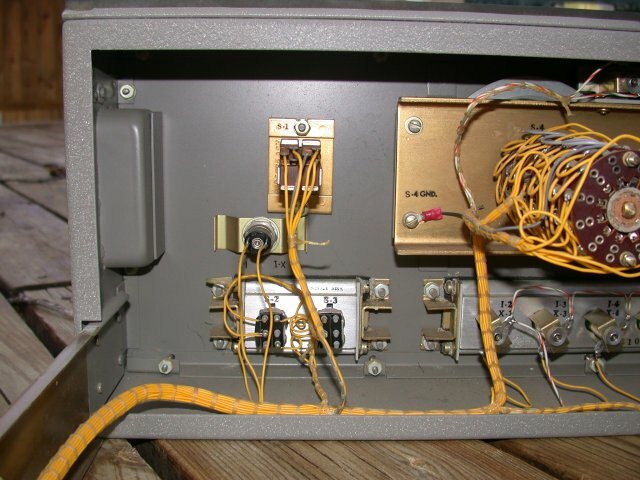 Introduction to AN/FSQ-7 at Ed Thelen's site. 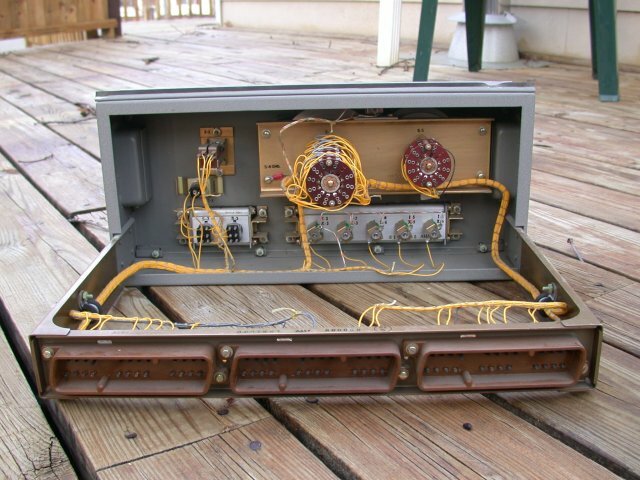 Return to the Hardware page. 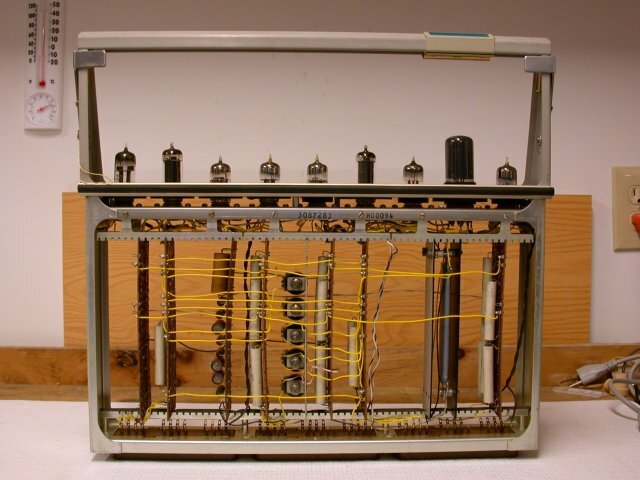 Return to the Old Technology Collection page.